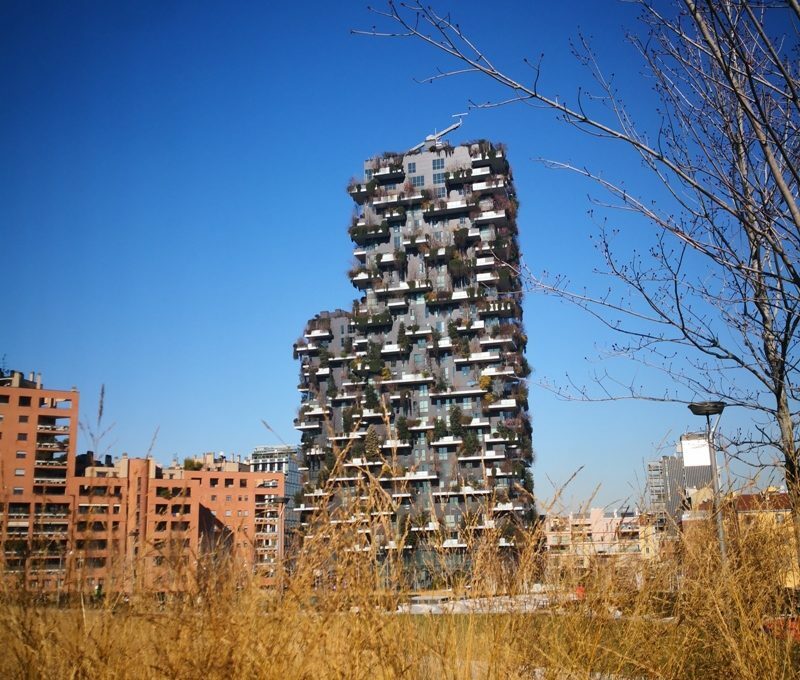 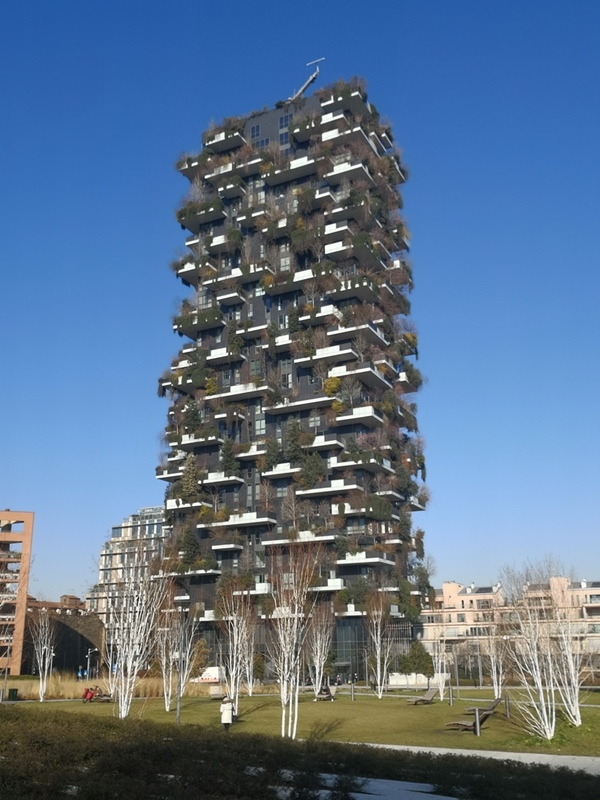 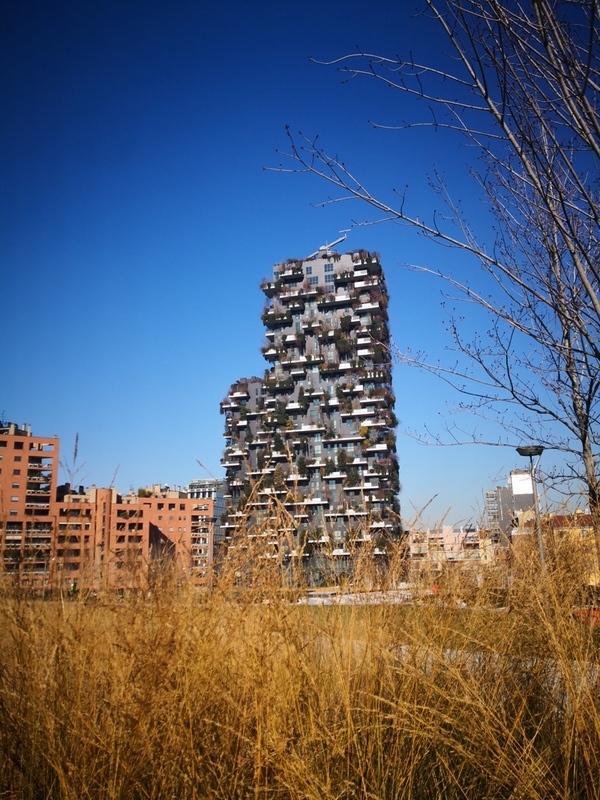 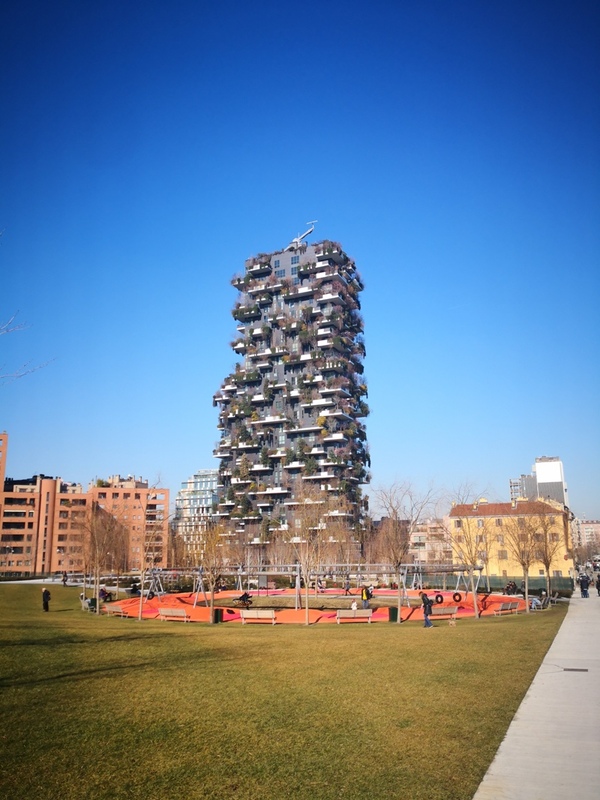 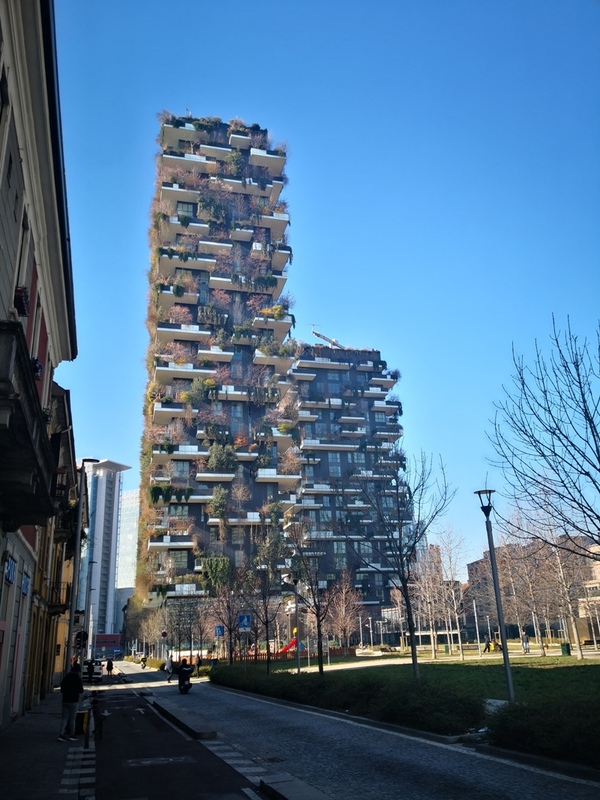 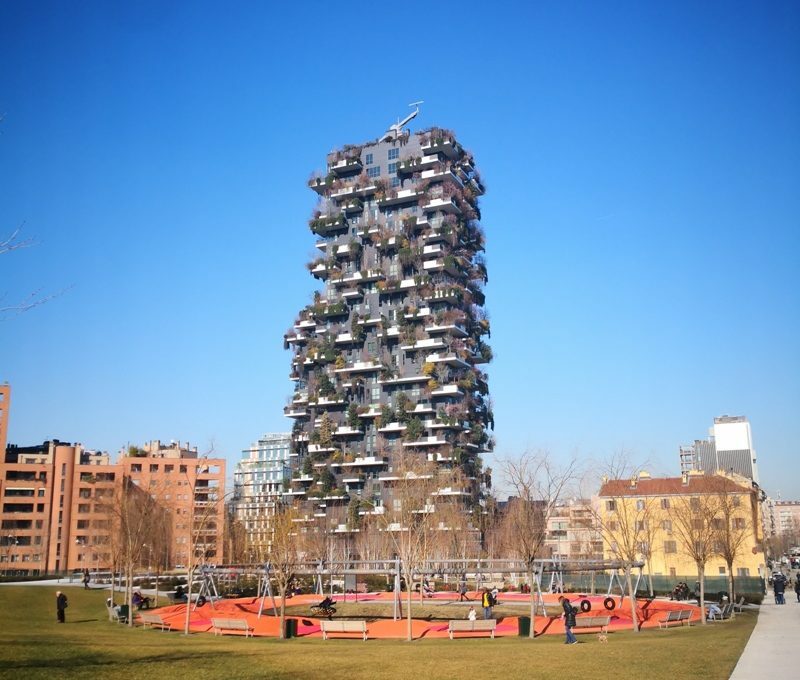 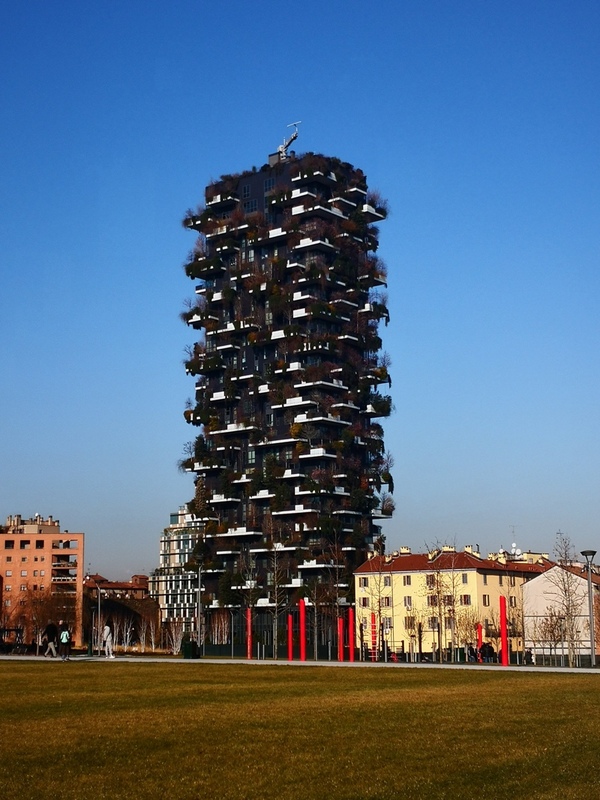 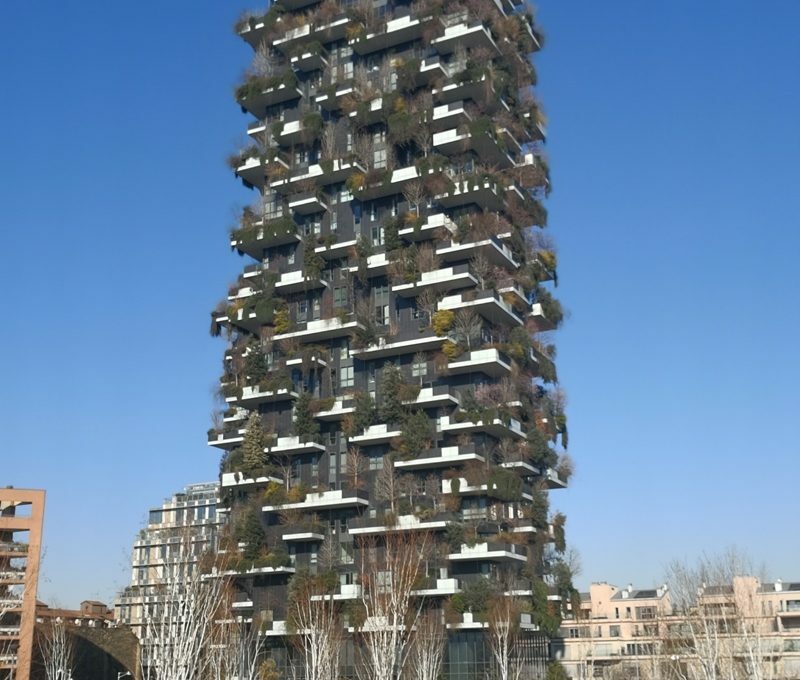 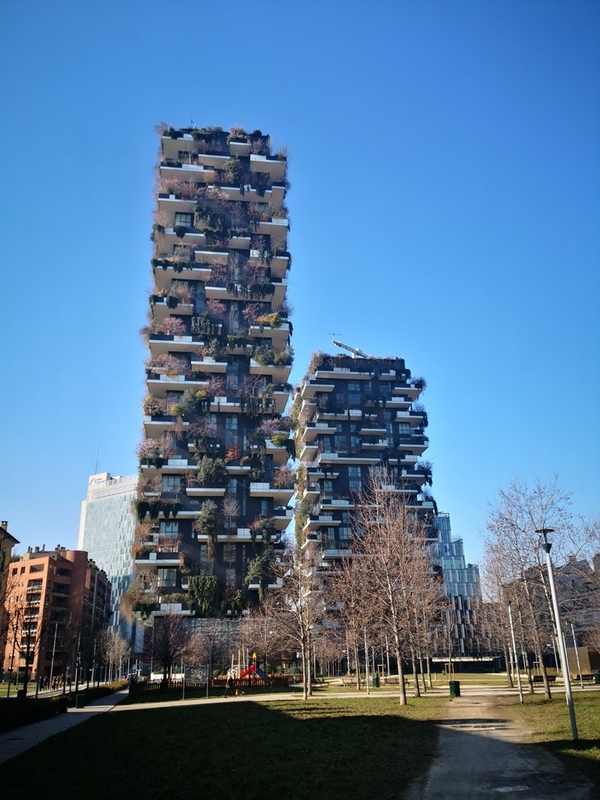 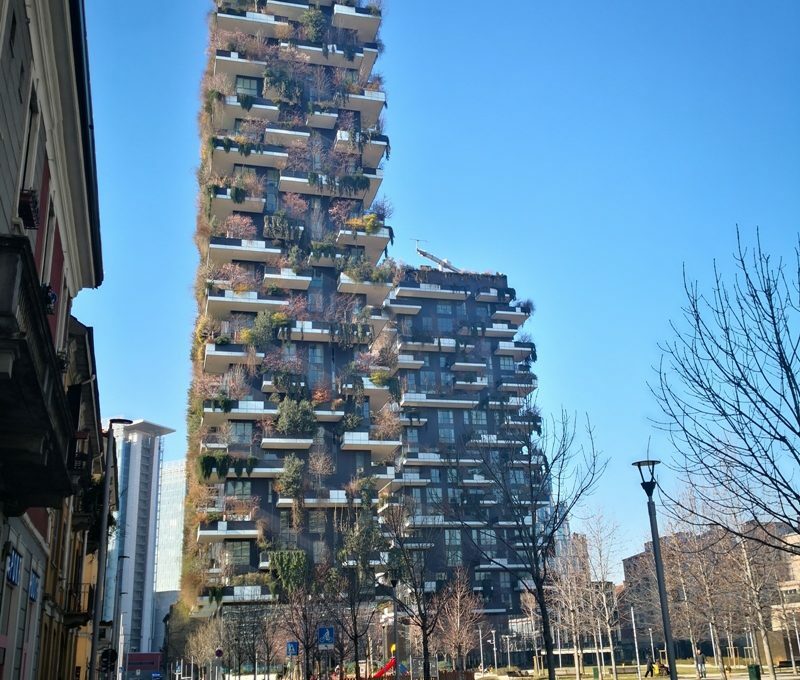 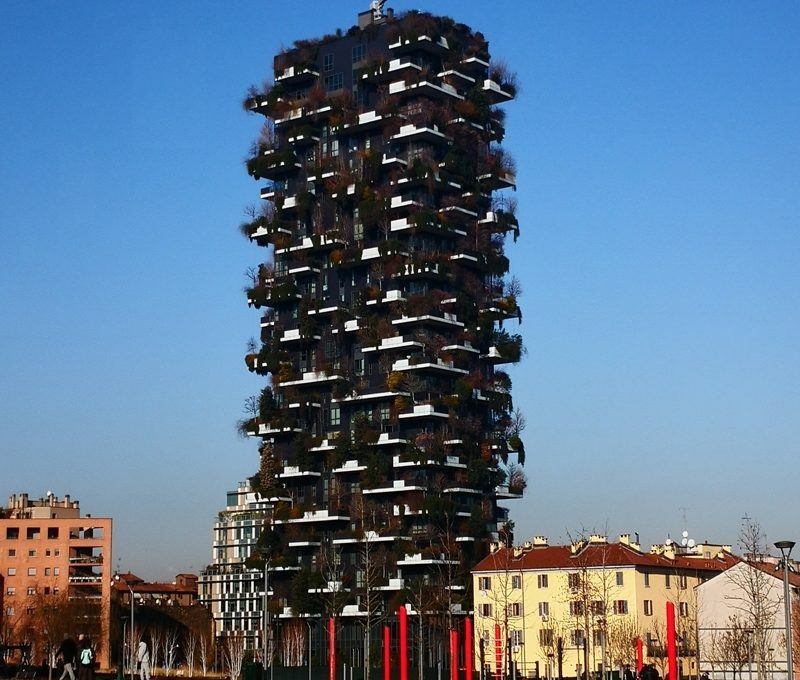 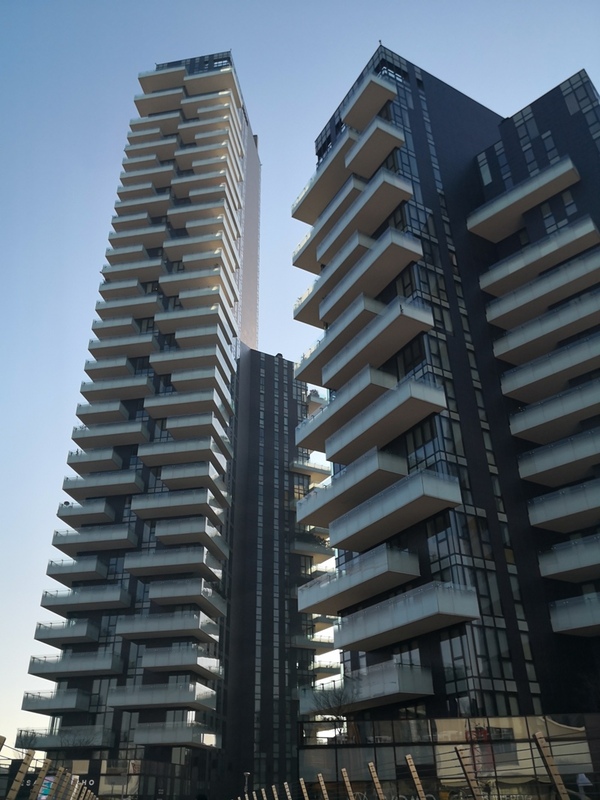 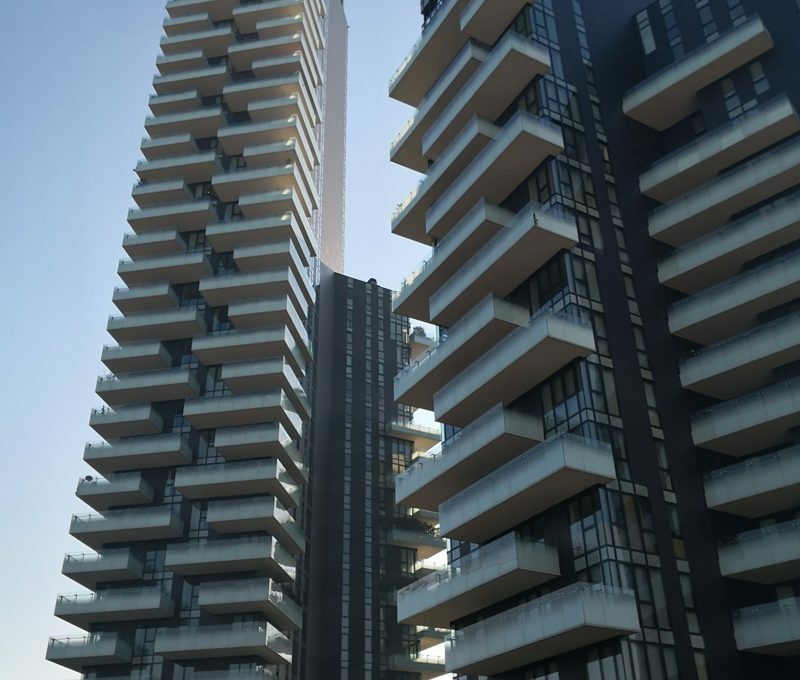 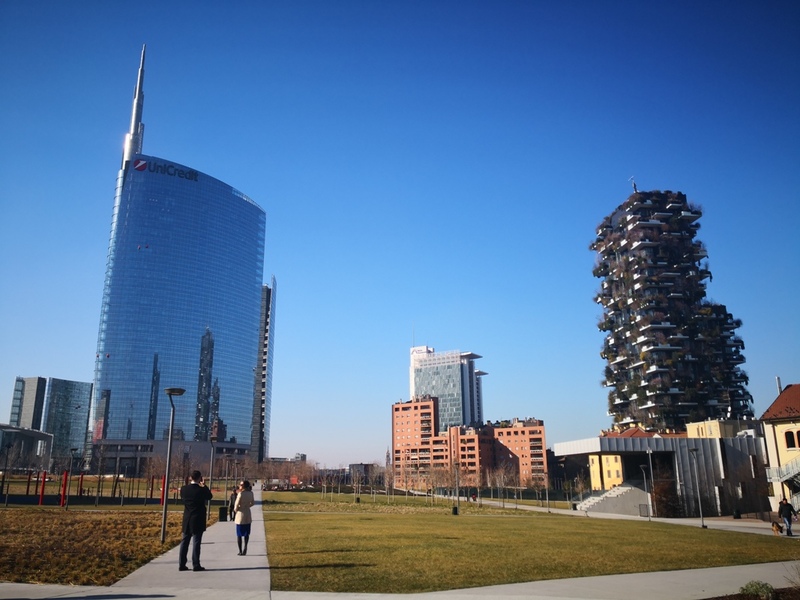 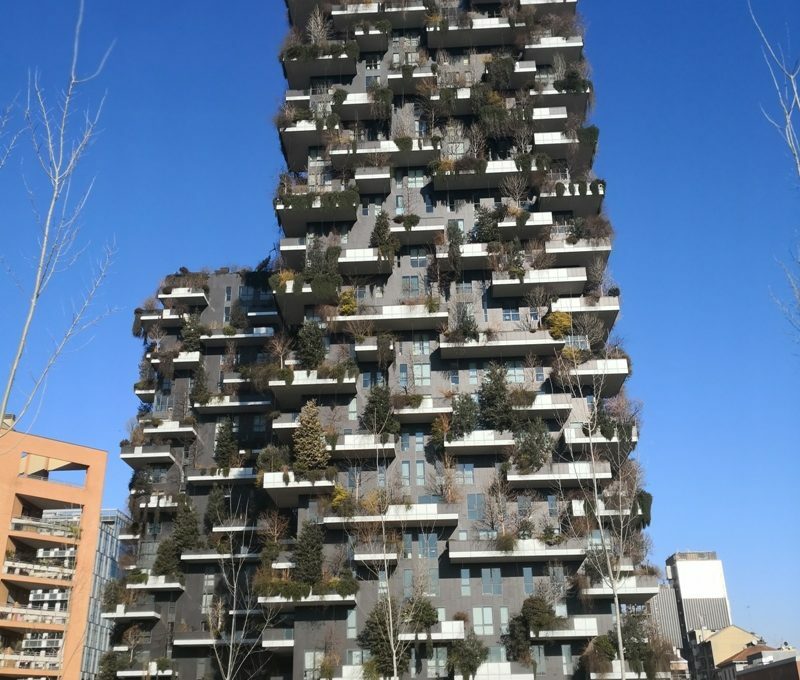 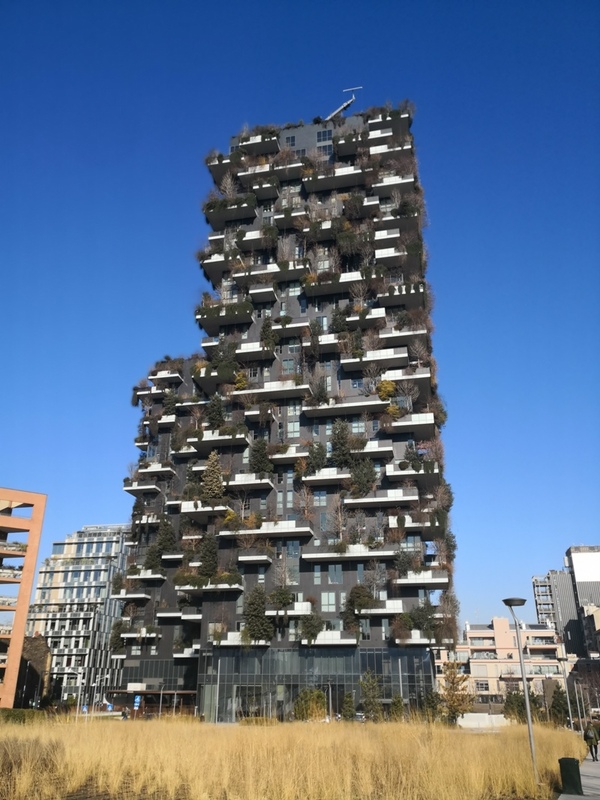 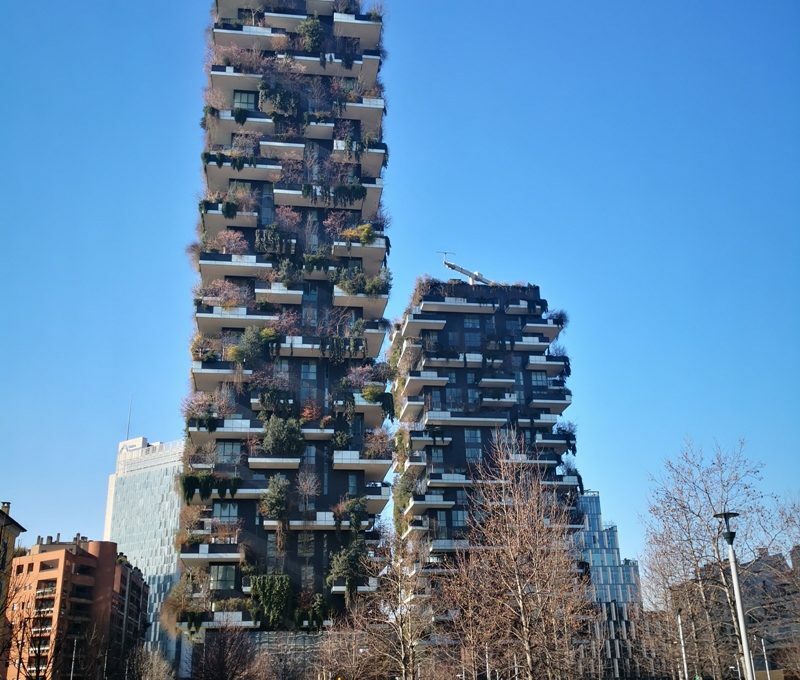 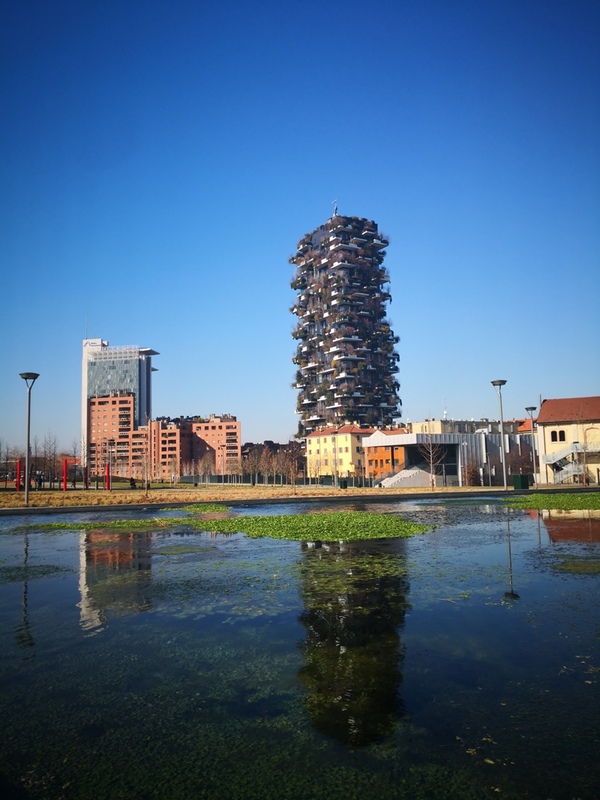 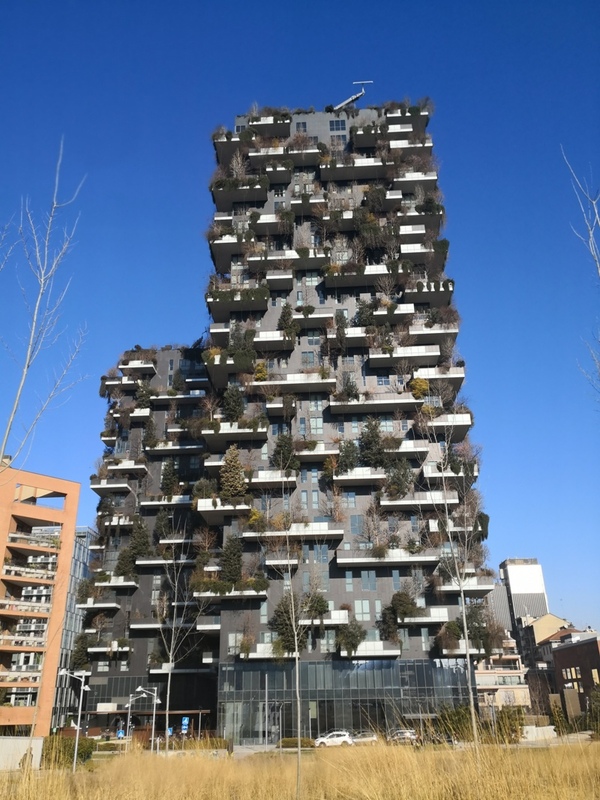 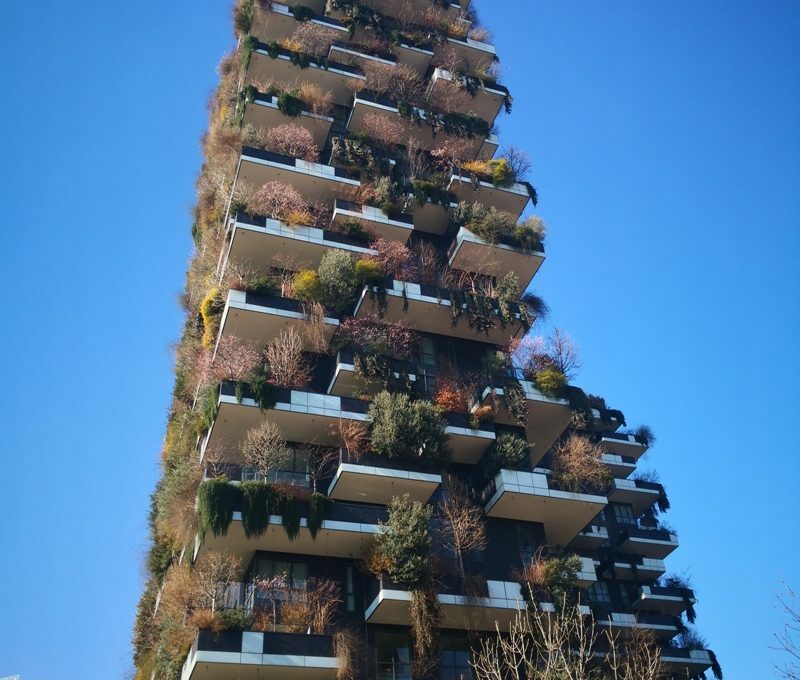 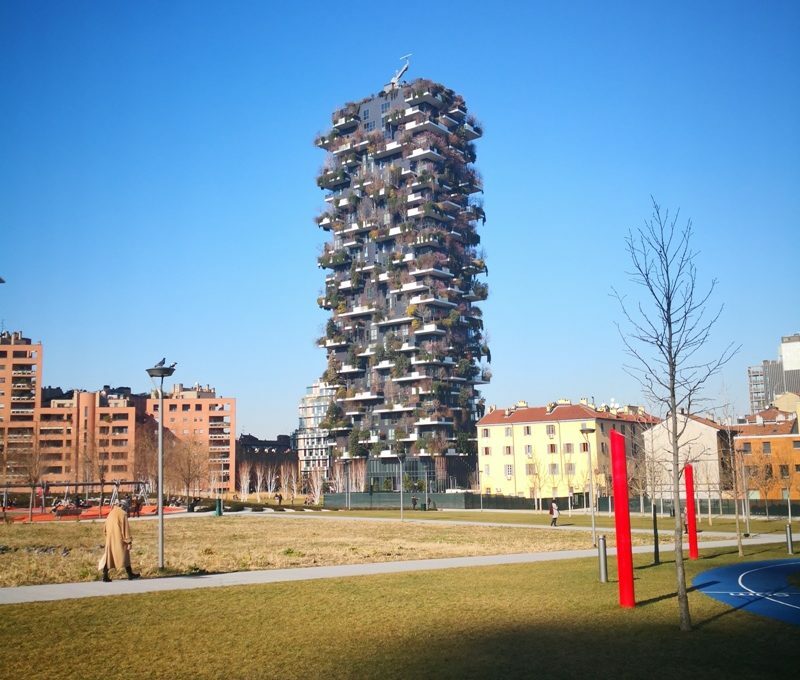 The Bosco Verticale is a complex of two prestigious residential tower buildings, which represent an innovative project, capable of regenerating the environment and urban biodiversity. 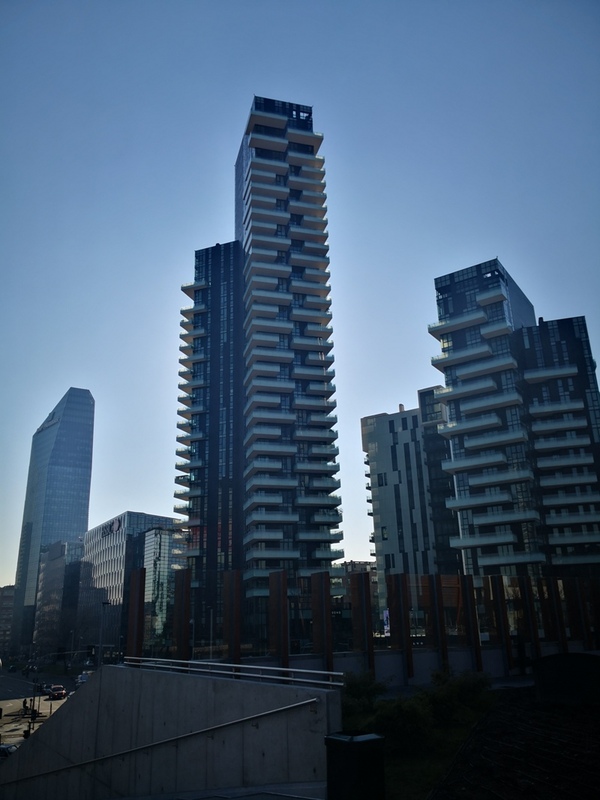 The building consists of two structures of different heights (one of 18 floors and another of 26 floors), combined together in a single building. 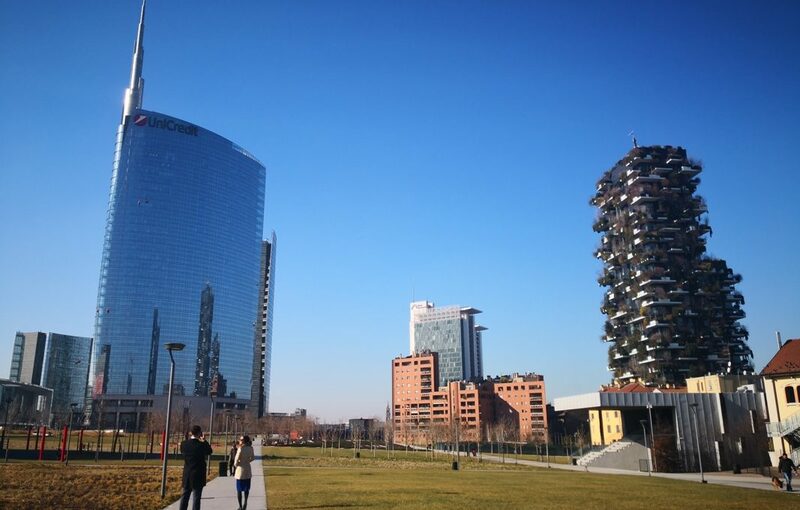 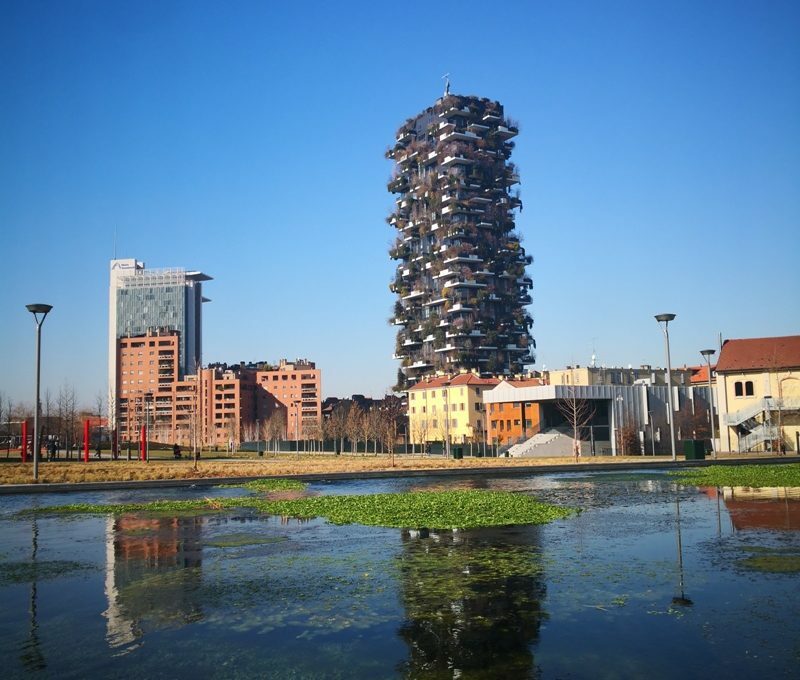 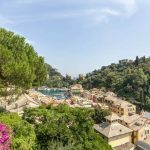 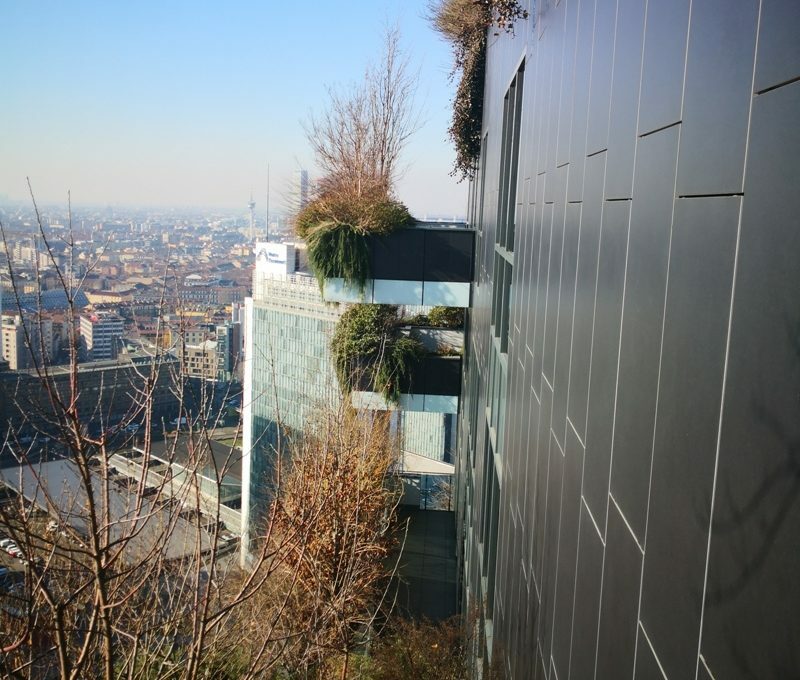 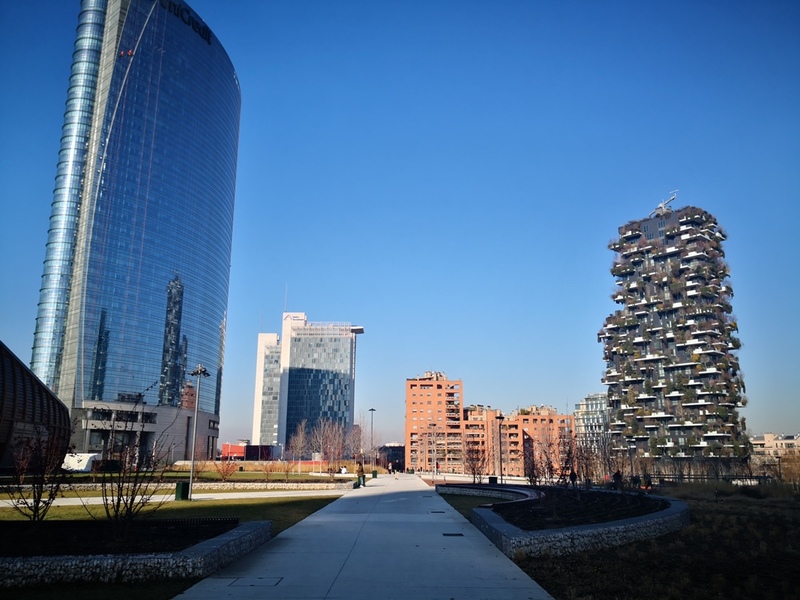 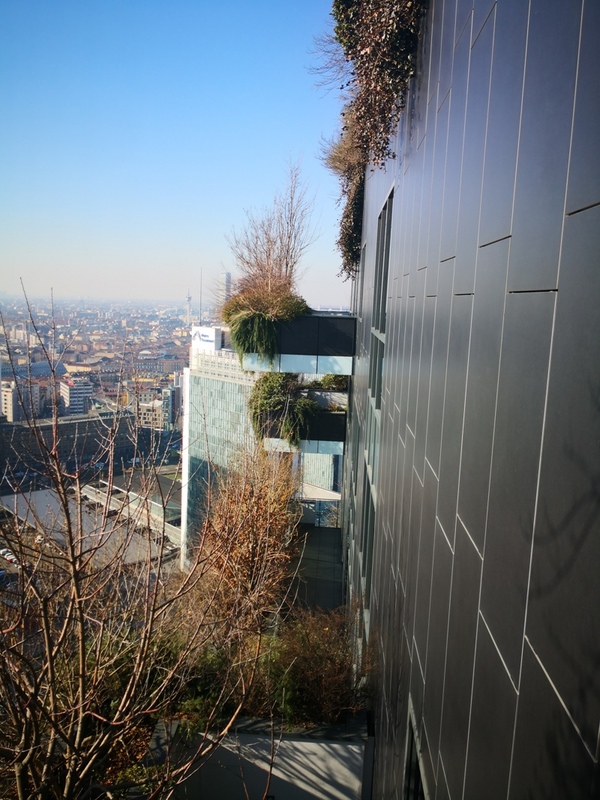 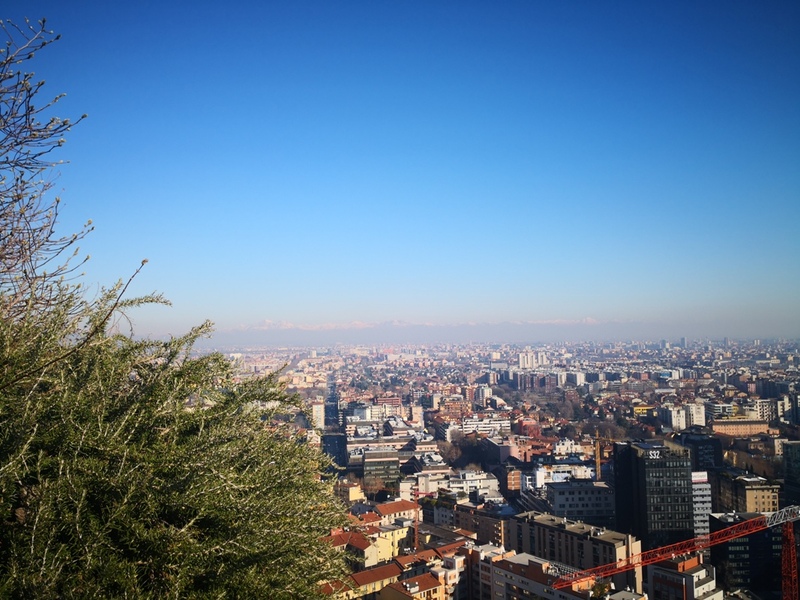 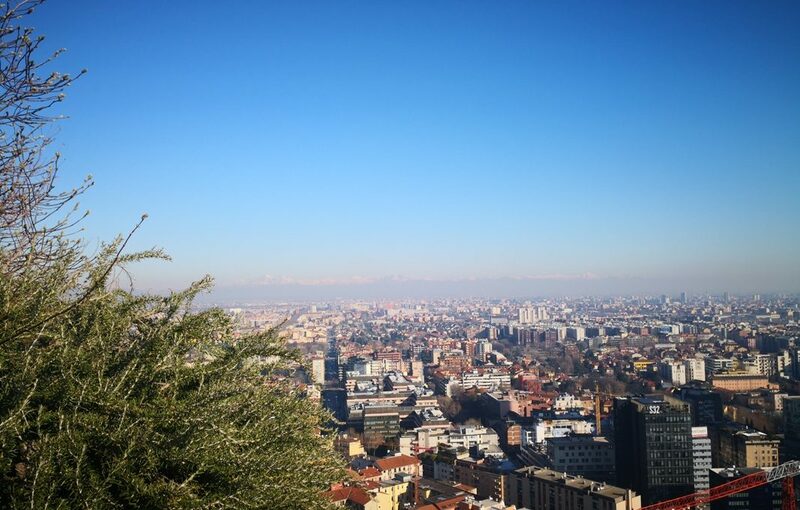 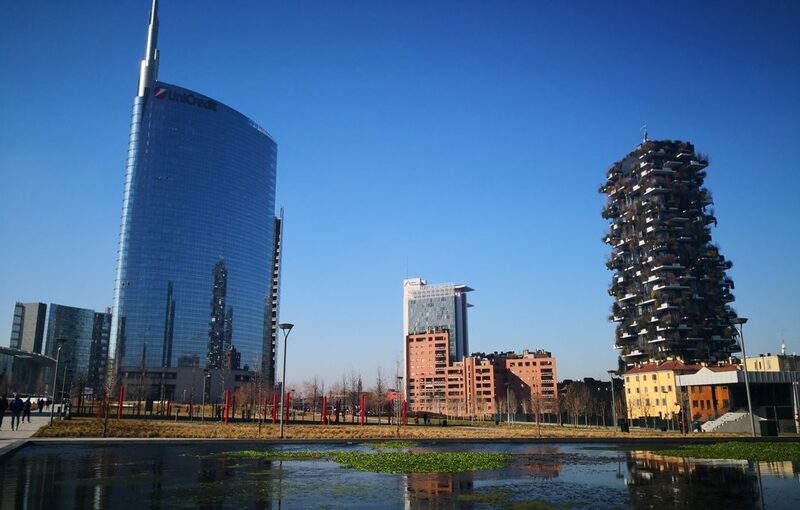 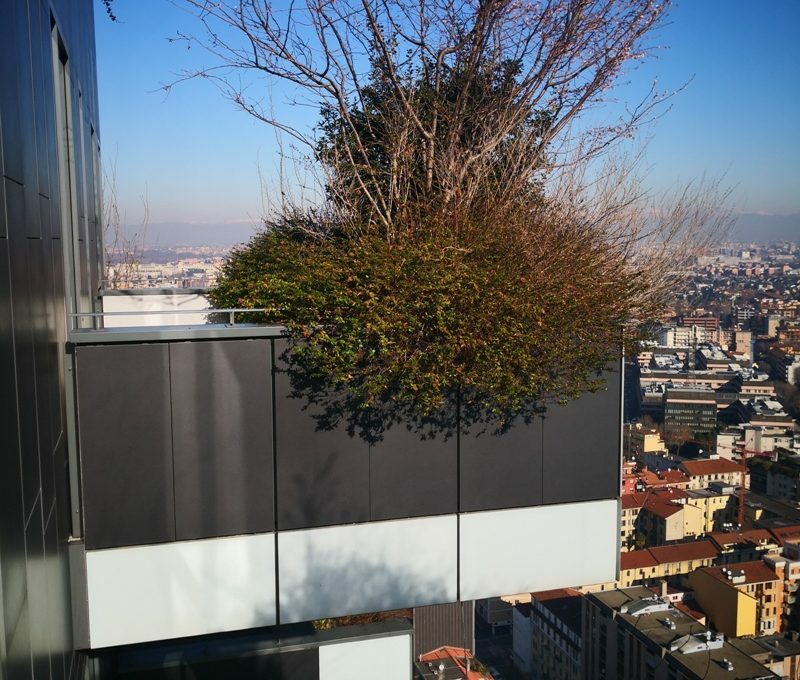 The numerous terraces, planted with particular essences and tall trees, over 2000 varieties, which are renewed in colors and scents with the succession of the seasons, offer extraordinary views over the city of Milan and the Alps. 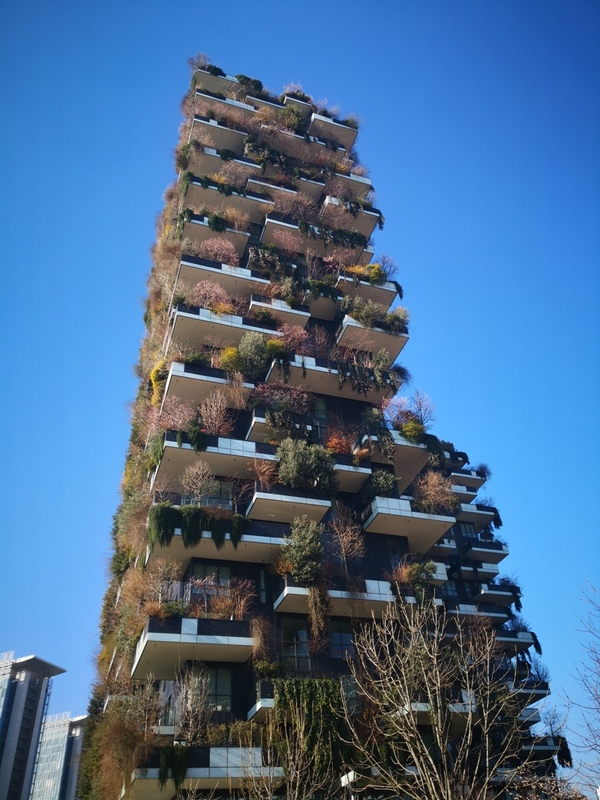 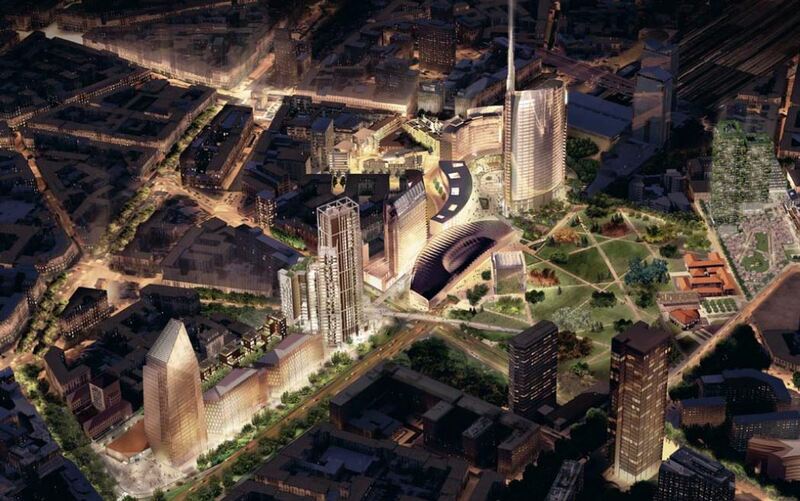 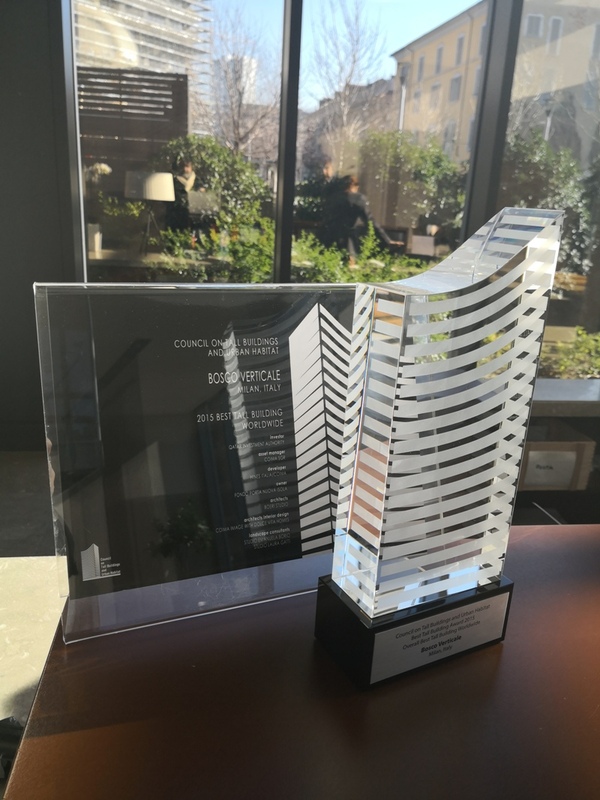 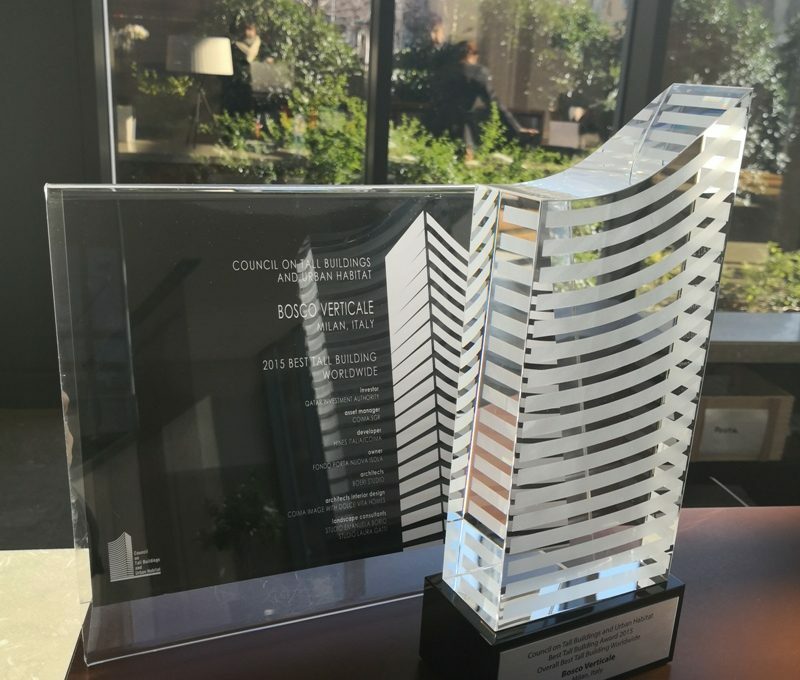 The project, aimed at increasing the biodiversity of the Lombard capital, is part of the international Boeri Studio and was recognized in 2015 by the Global Tall Building News as one of the most beautiful skyscrapers in the world. 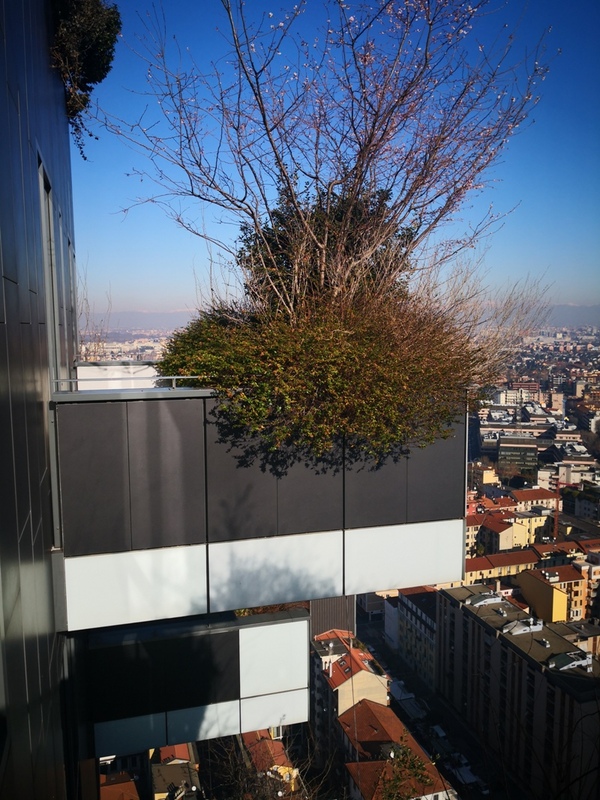 The exclusive apartment, located on the 26th and last floor, is characterized mainly by large spaces invaded by natural light, thanks to the presence of large terraces / hanging gardens on different sides . 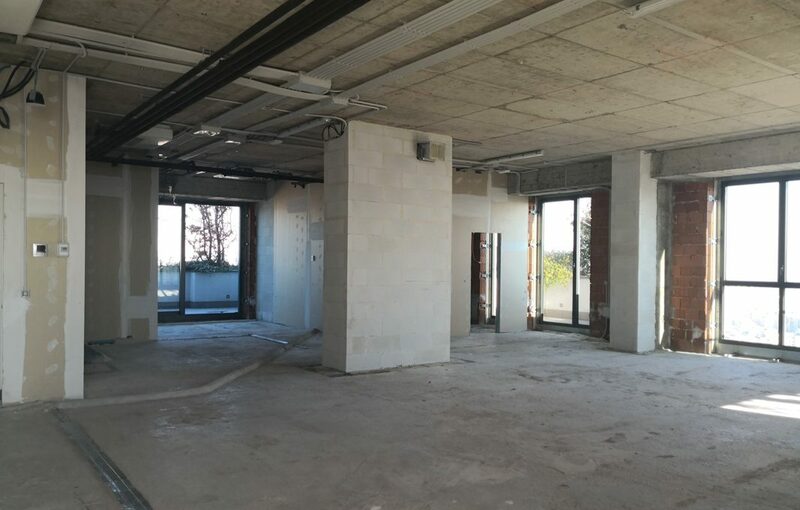 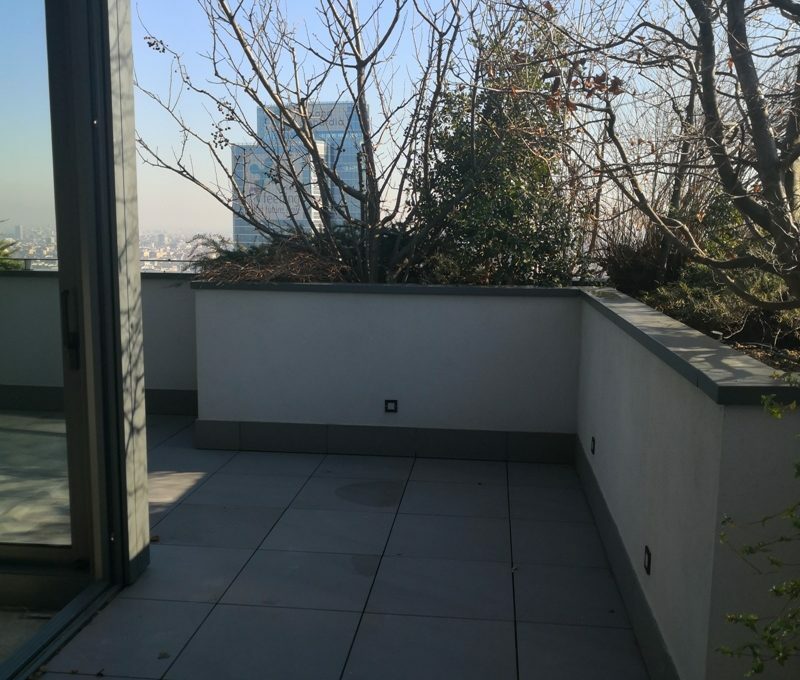 The covered area is about 500 square meters, in addition to terraces for sqm. 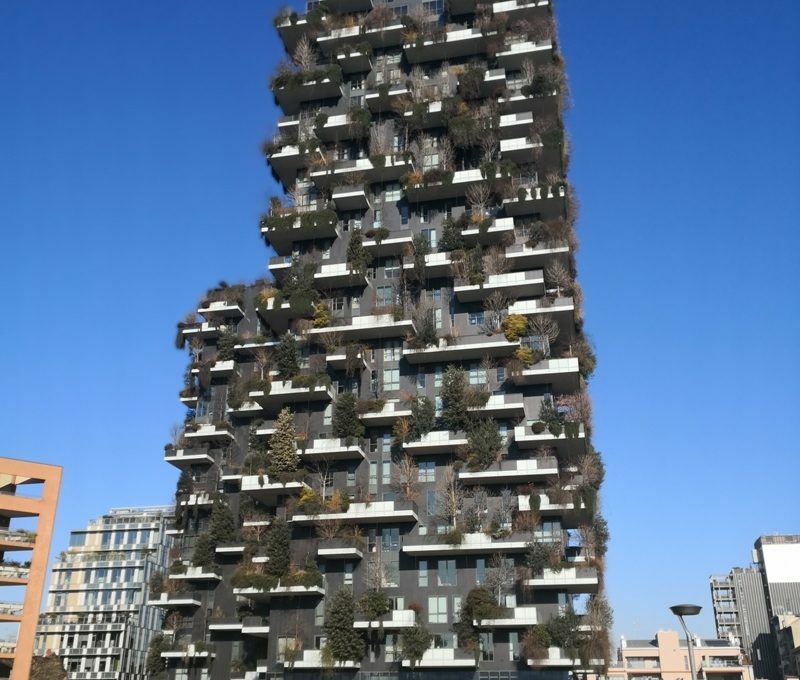 170. 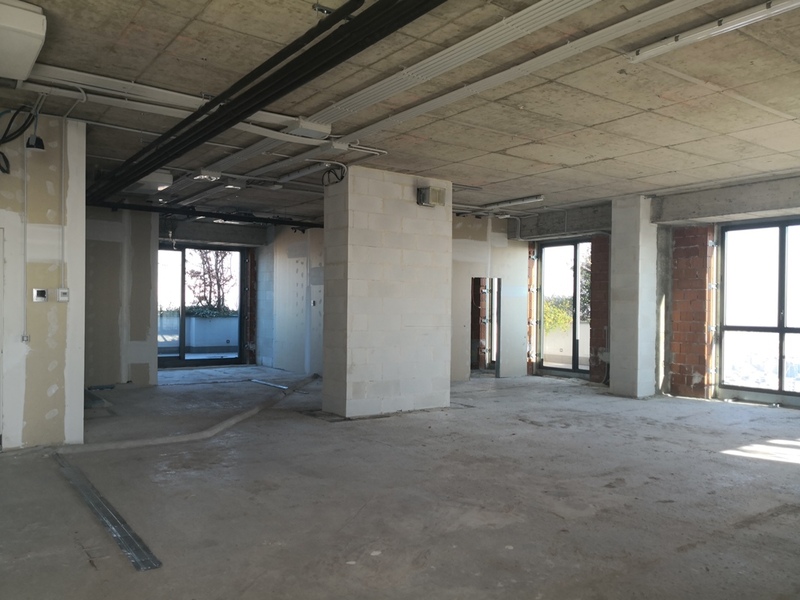 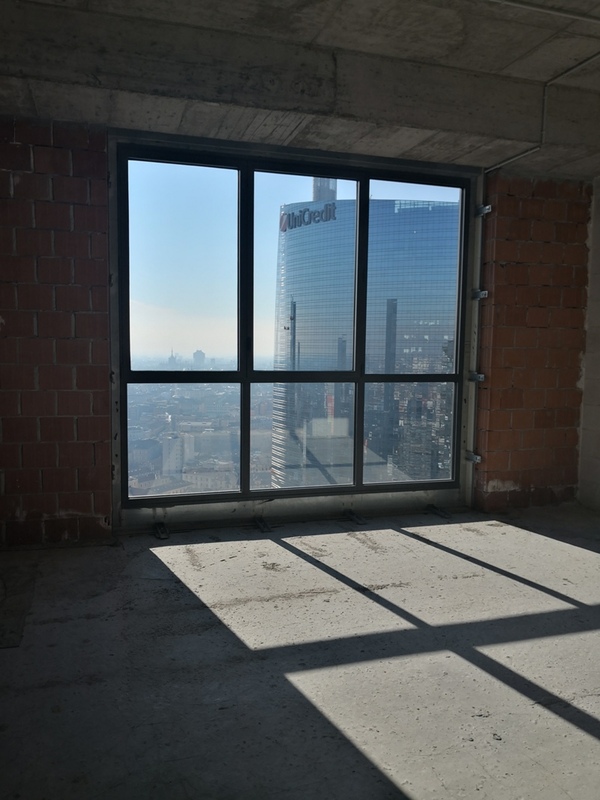 The living area is divided as follows: entrance hall, triple open-plan living room, with light-filled windows with a spectacular view of the city and the Alps, kitchen with small terrace, bathroom, service area, with double bedroom, bathroom, laundry area and storage. 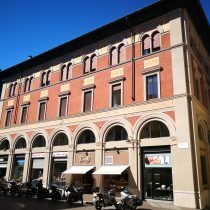 In the sleeping area we find n. 2 double bedrooms en suite (bathroom with bath and walk in closet), n. 1 single bedroom en suite (bathroom with bath and walk in closet), large master room en suite, with bathroom with bathtub and shower and large walk in closet. 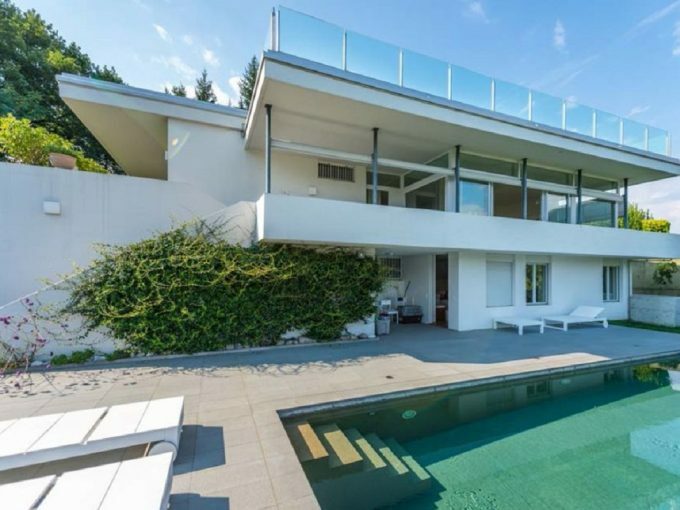 Almost all the rooms have exclusive access to the counters / terraces. 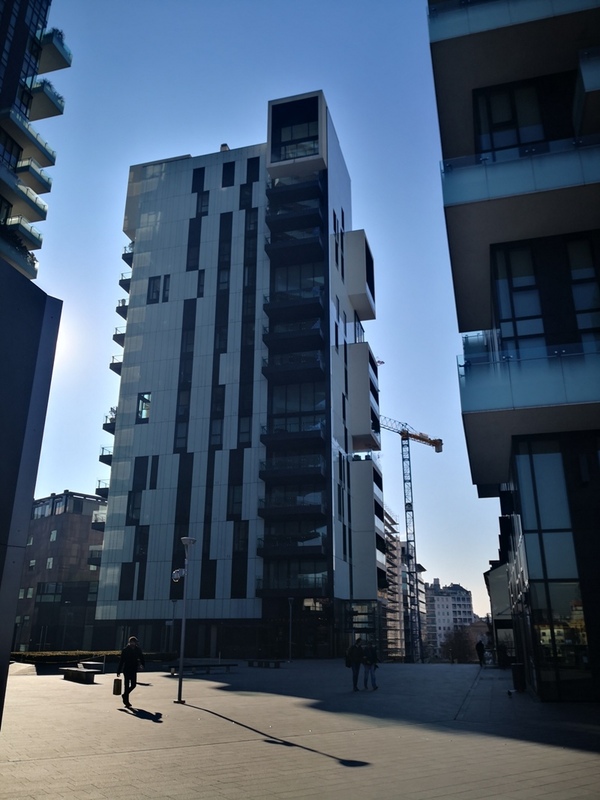 The prestigious penthouse has three entrances (living area, kitchen area and sleeping area) and is served by three elevators. 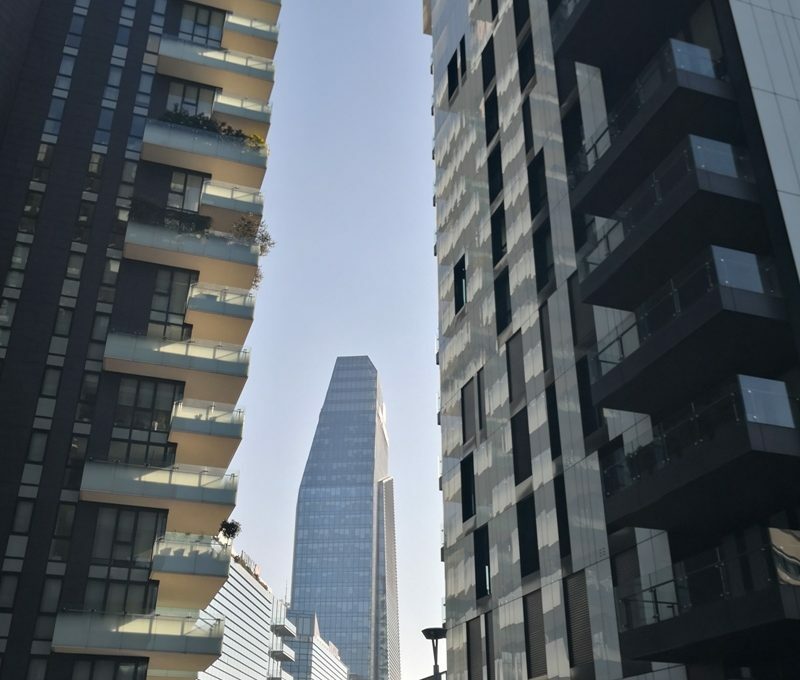 The complex enjoys various services, able to guarantee safety and privacy: 24h concierge, 24h security service, 24h call center, guest waiting room. 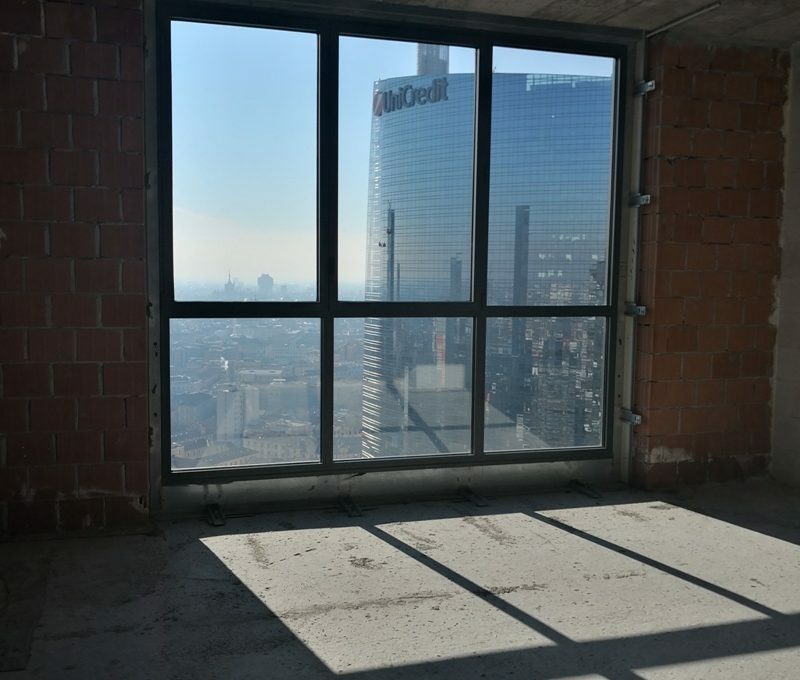 The prestigious penthouse has a home automation system for the best climate control and security inside the apartment. 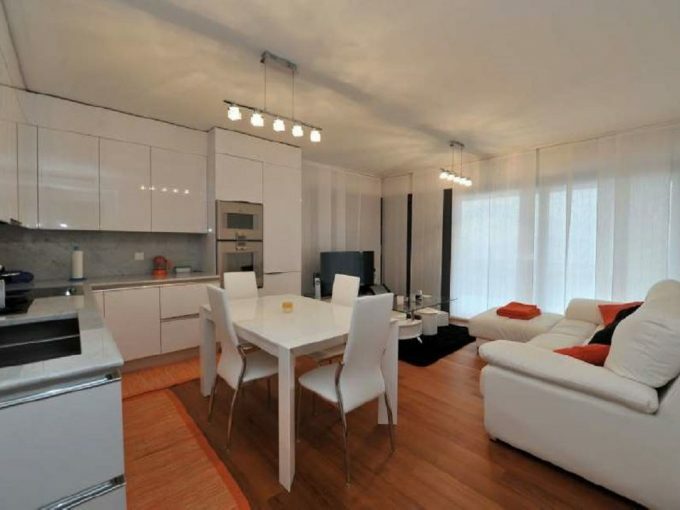 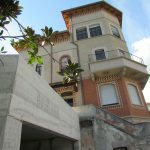 The property includes a double garage (150,000.00 euros) and a single one (75,000.00 euros). 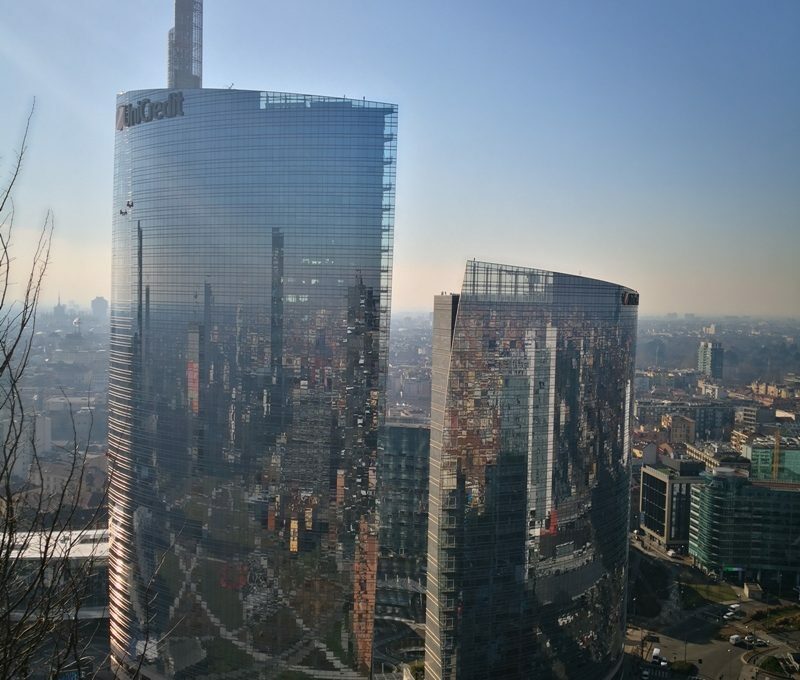 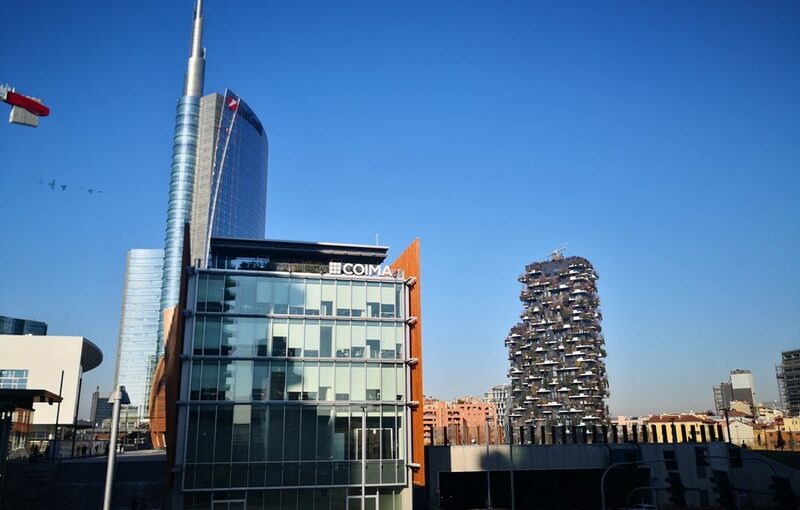 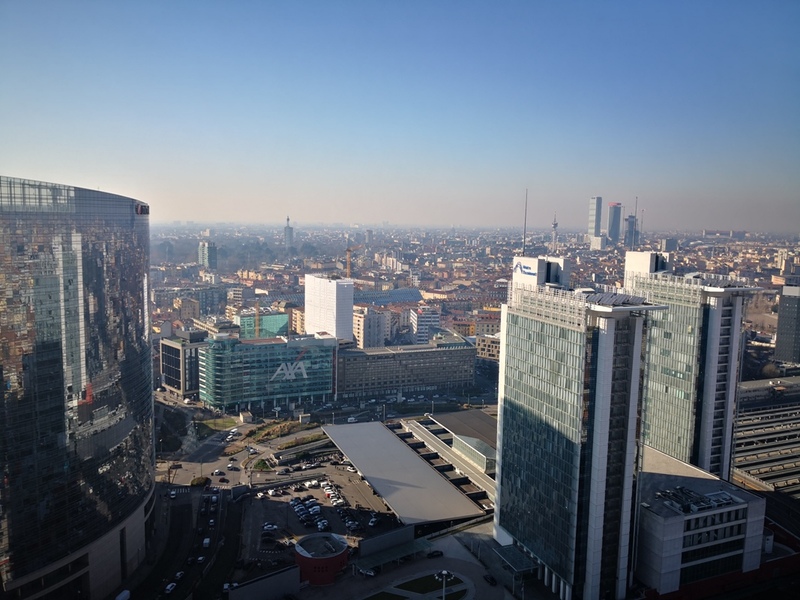 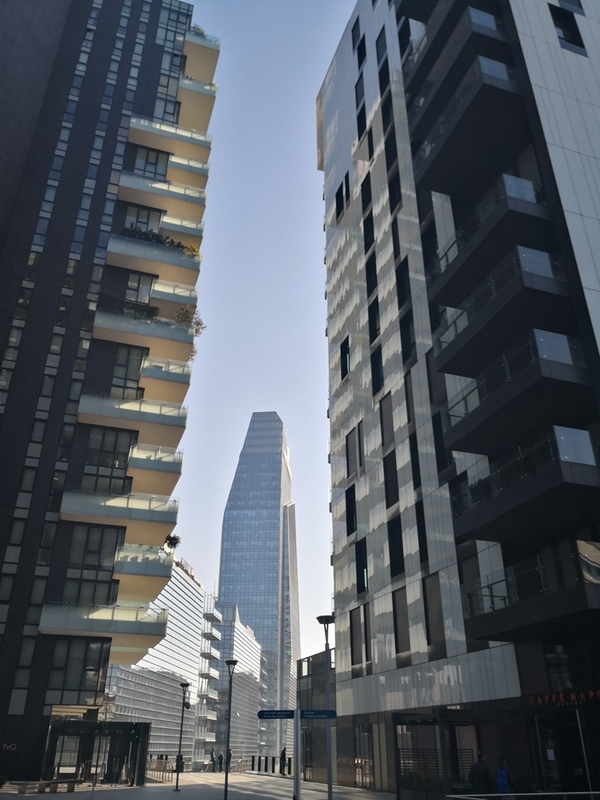 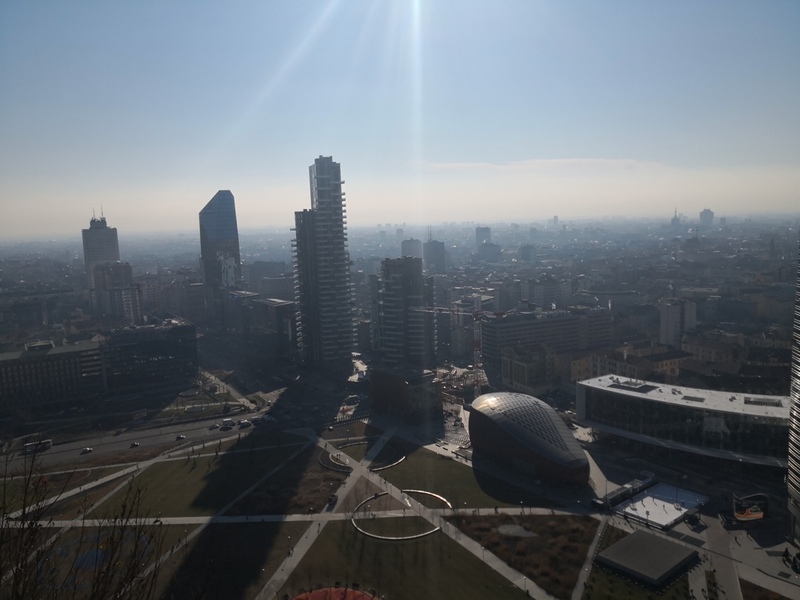 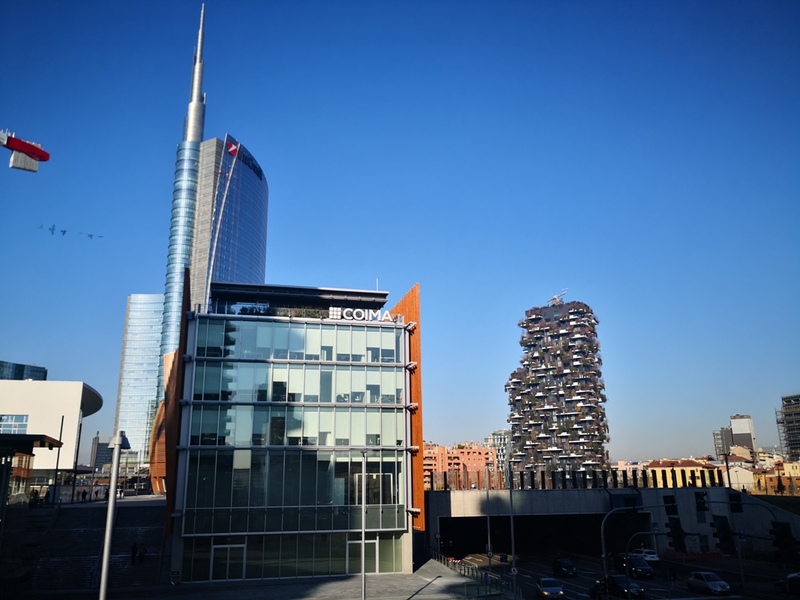 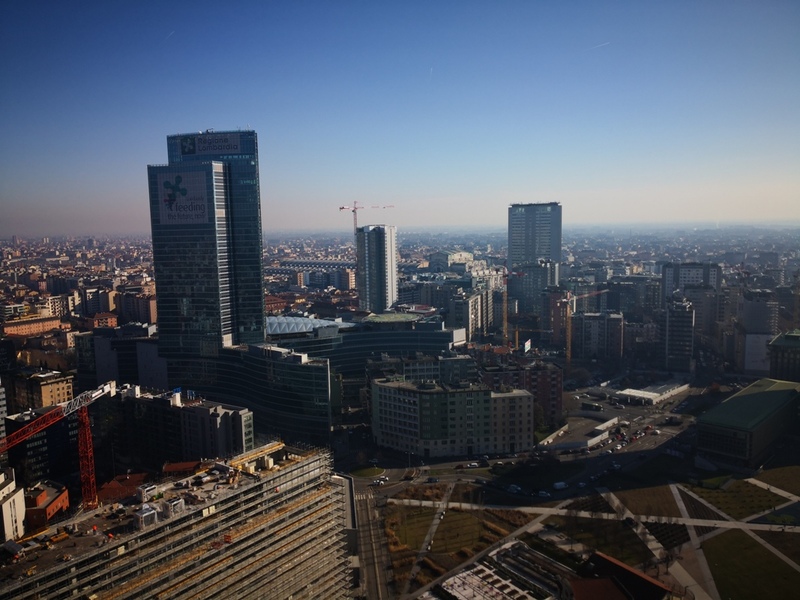 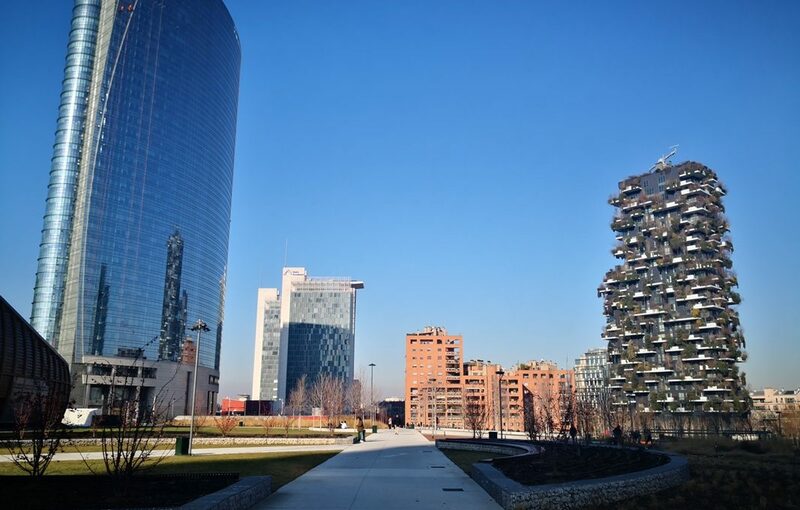 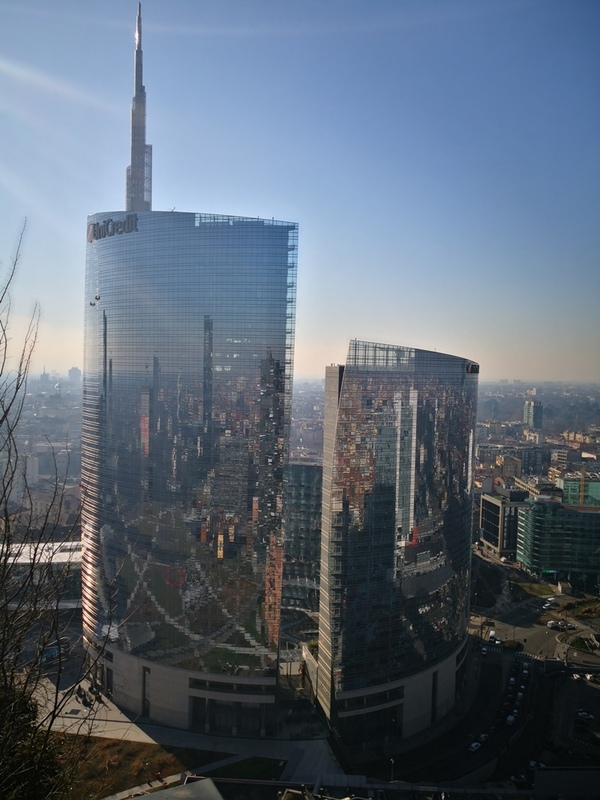 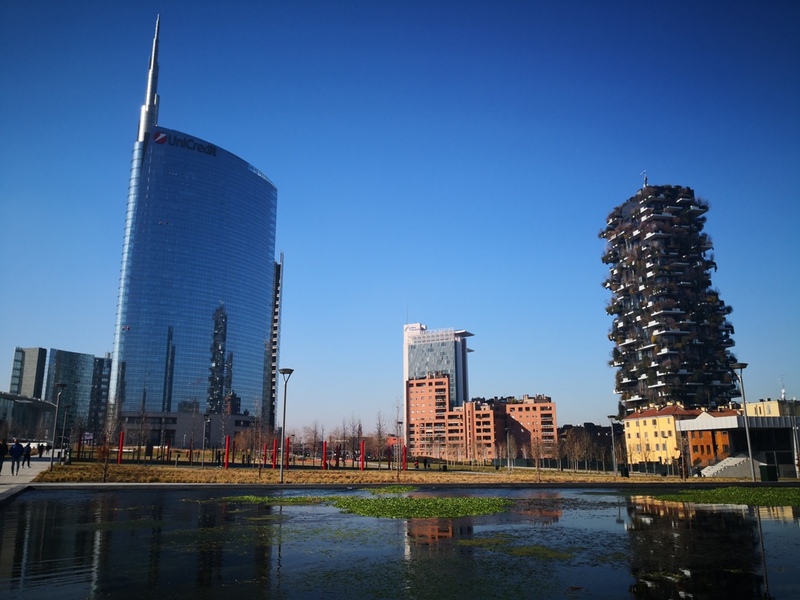 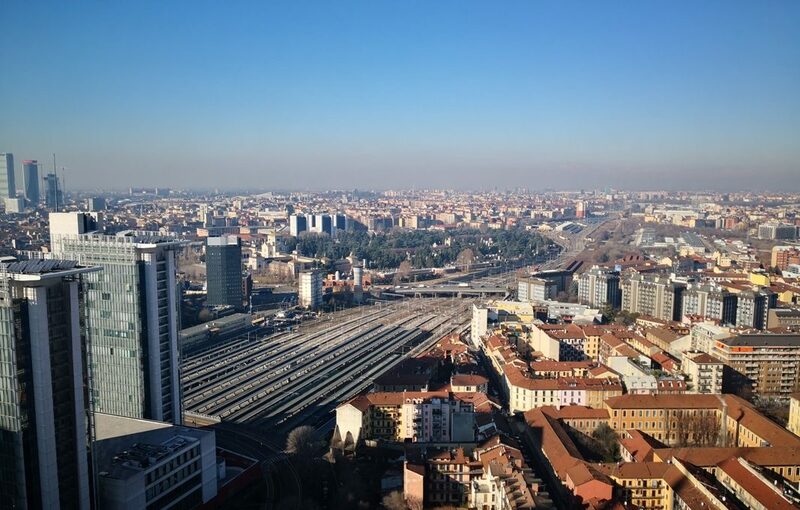 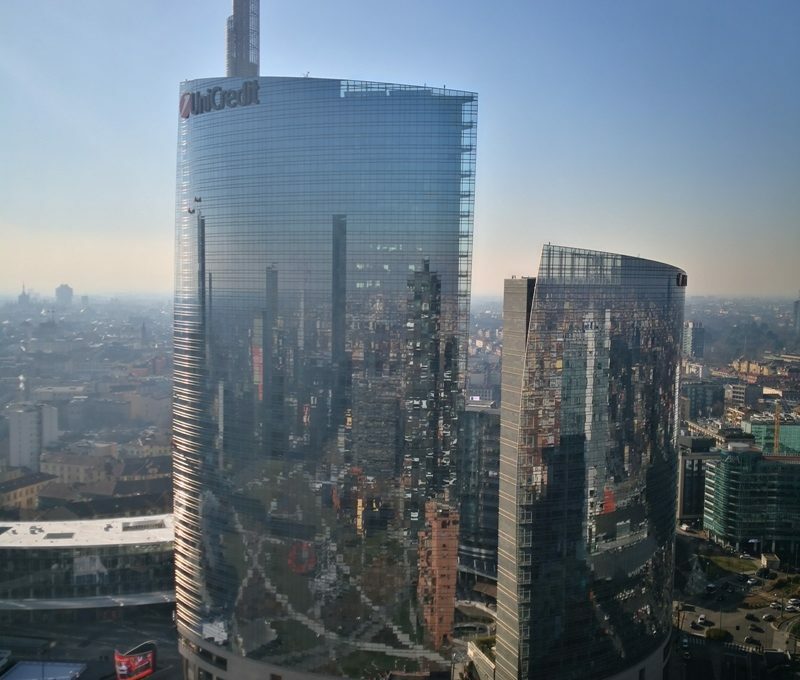 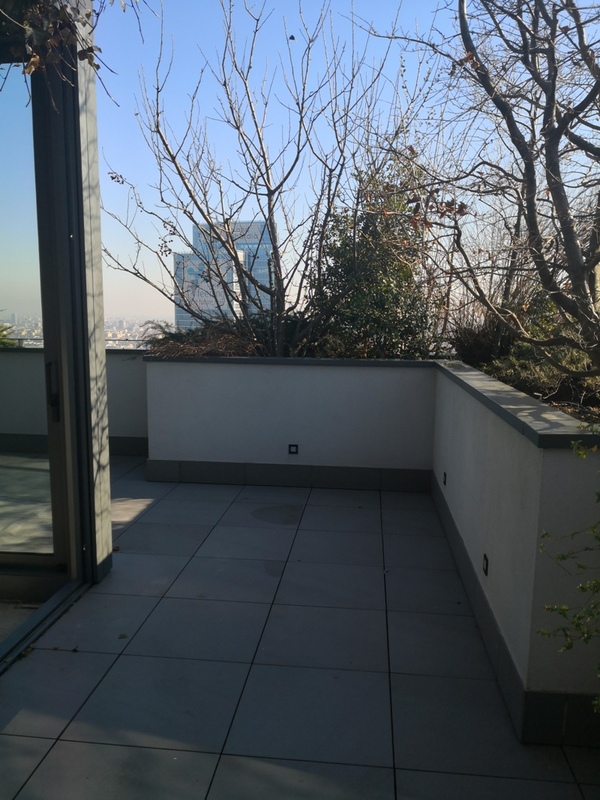 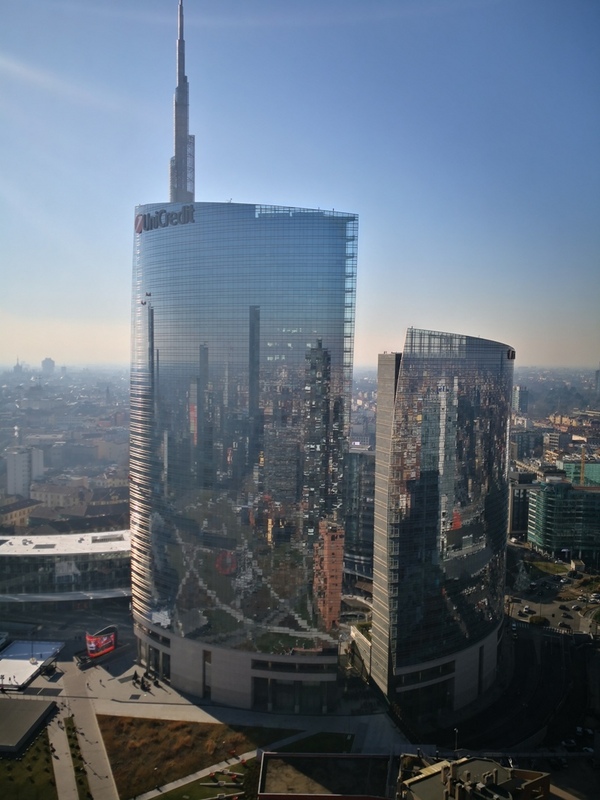 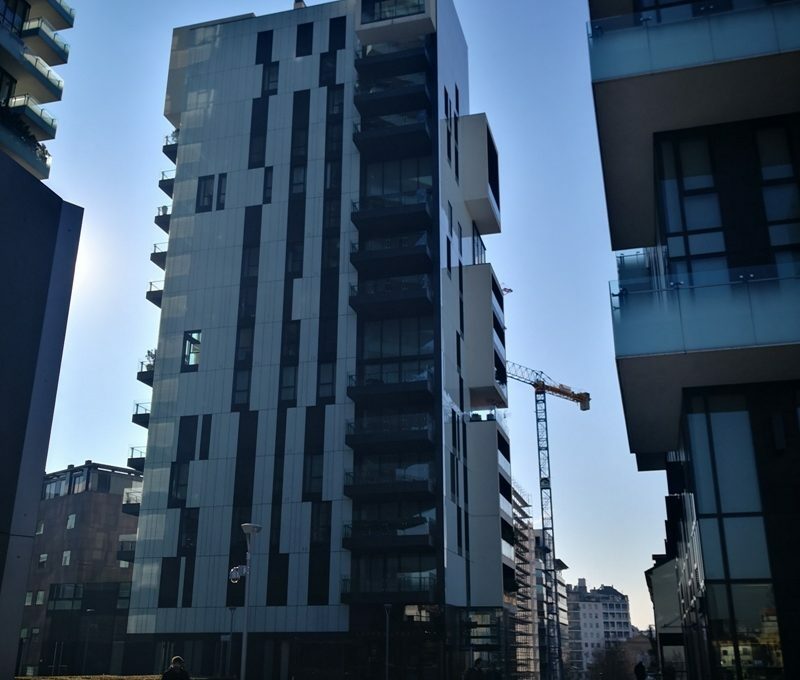 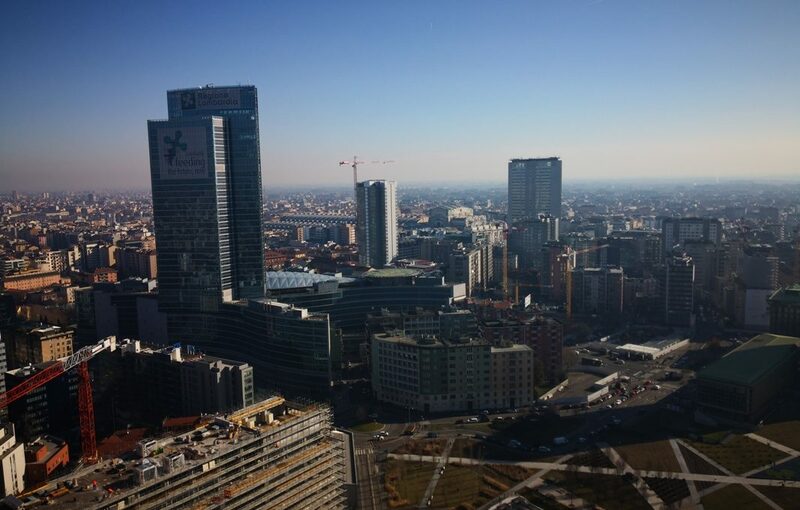 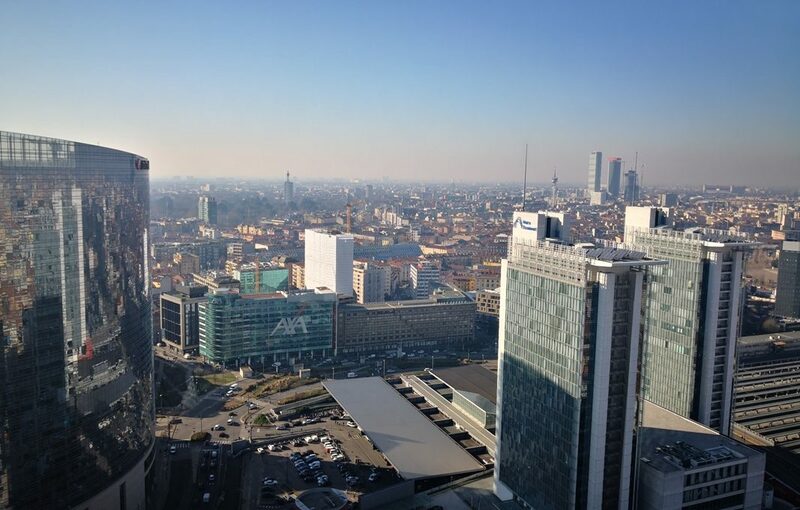 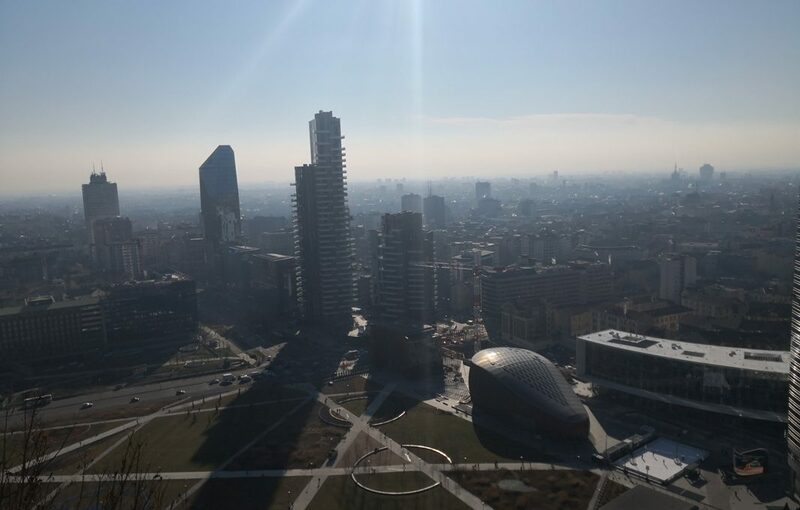 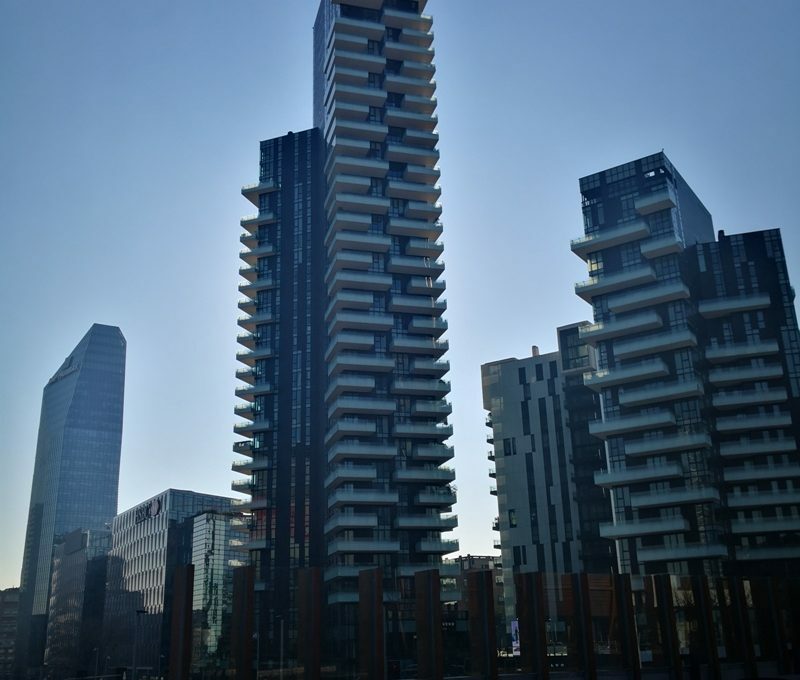 The prestigious penthouse is located in one of the most “cool” areas of Milan, near Piazza Gae Aulenti and the Unicredit business center, in the Isola neighborhood and a few minutes walk from the Brera district, Piazza della Scala and Piazza Duomo .. 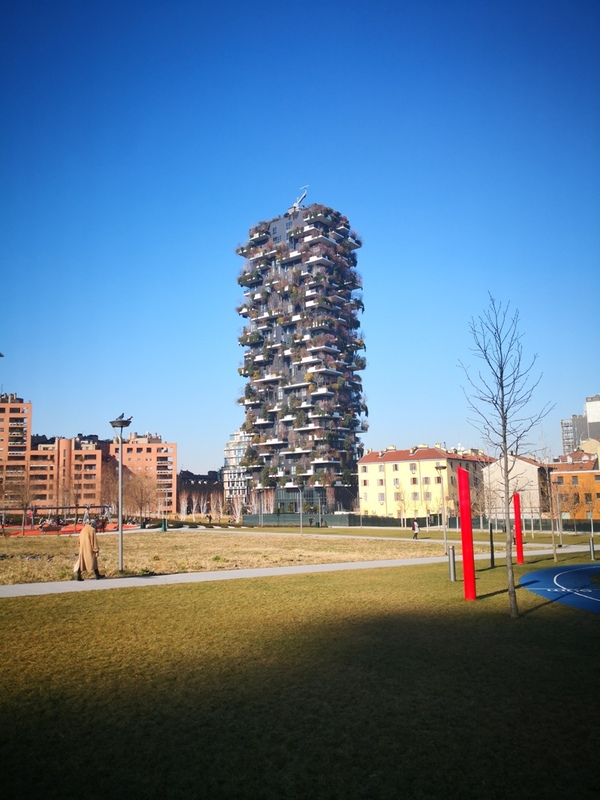 The high standards of environmental sustainability of buildings, the infrastructures and the numerous green and pedestrian areas “I Giardini di Porta Nuova”, with 90,000 square meters of furnished green, which thanks to its essences offers different emotions during the different periods of the year, as well the exhibition, cultural and commercial spaces, making this neighborhood an ideal place to live. 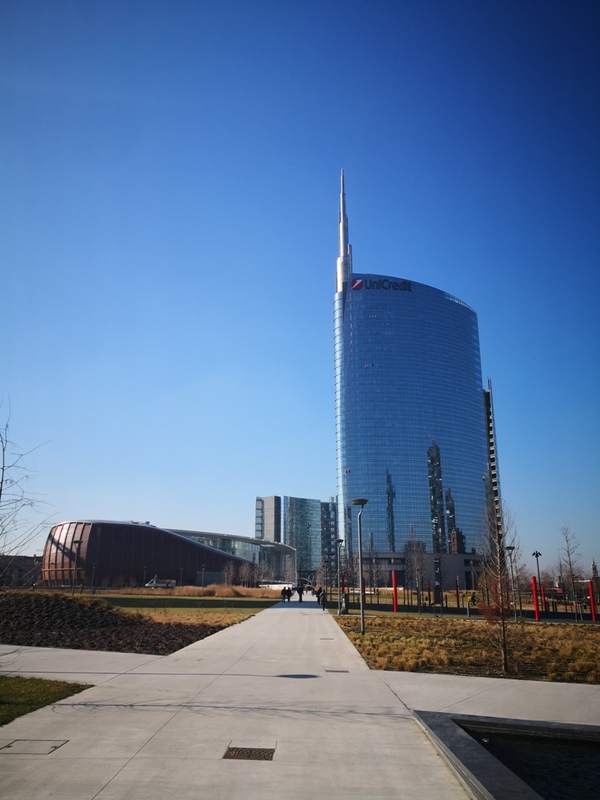 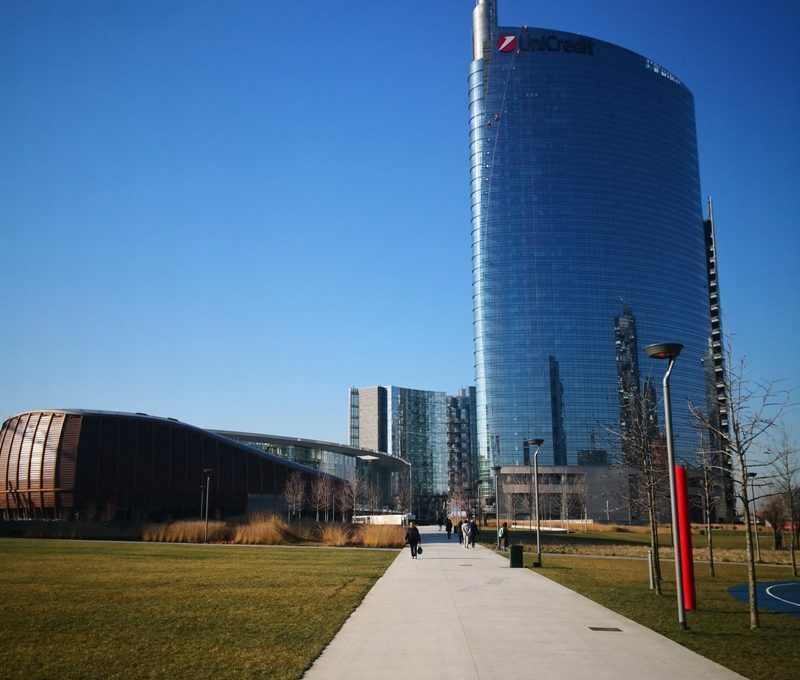 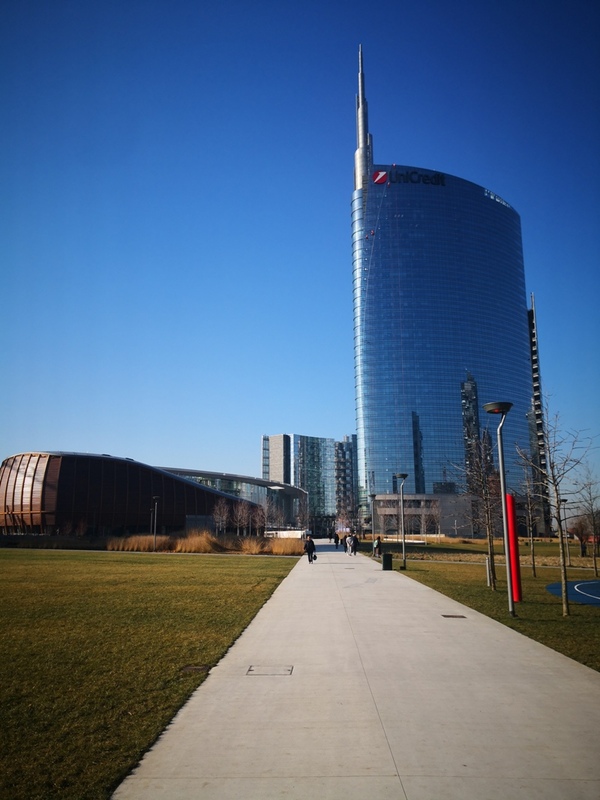 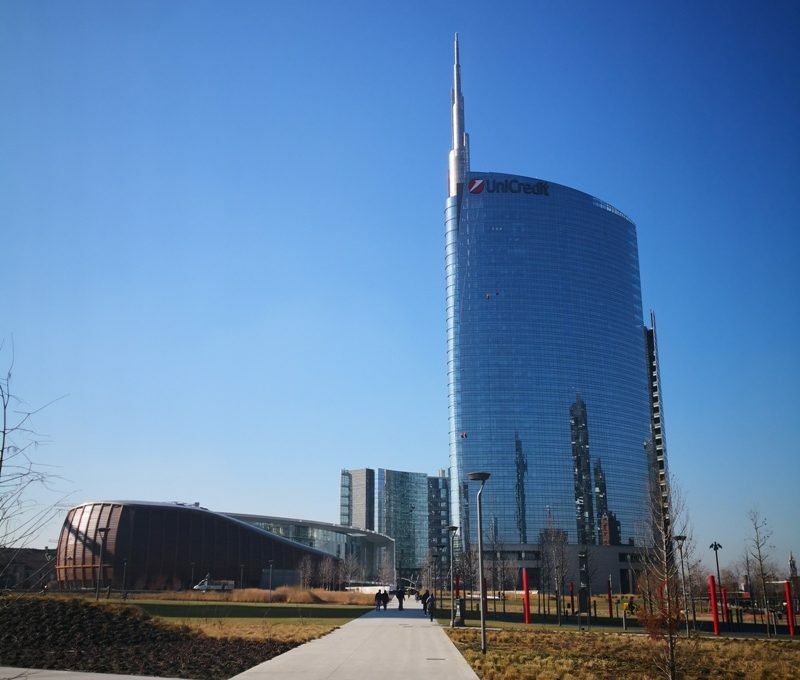 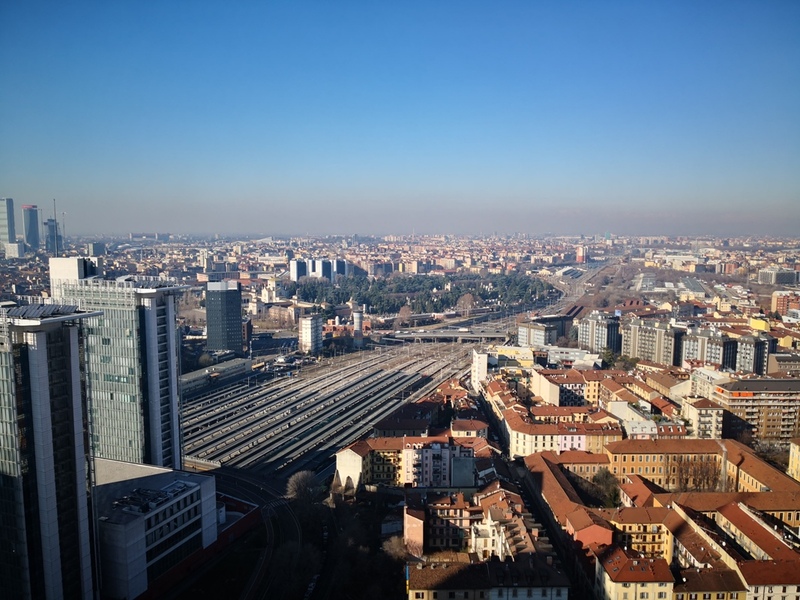 The area is well served by public transport, with the subway station and the arrival of the State railways (Porta Garibaldi).